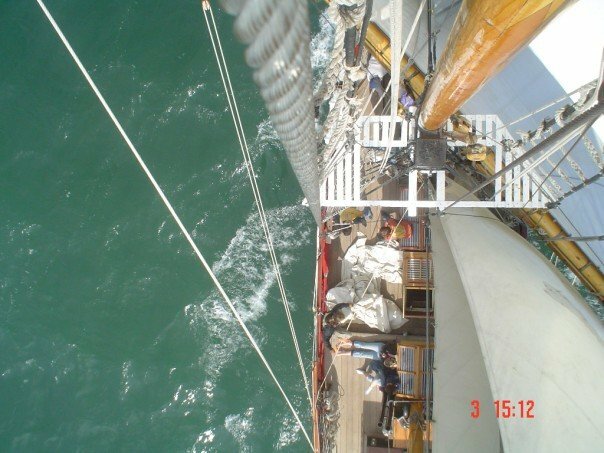 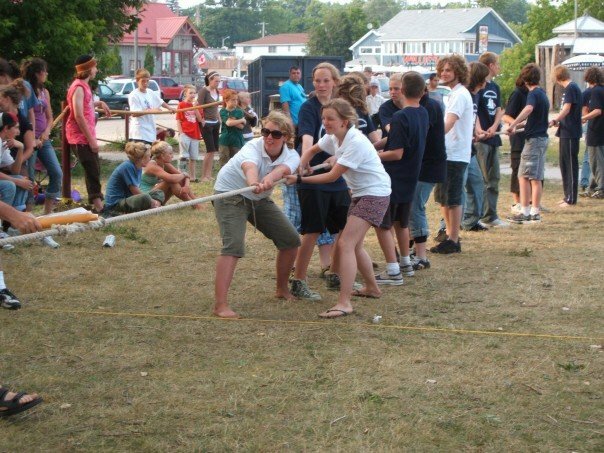 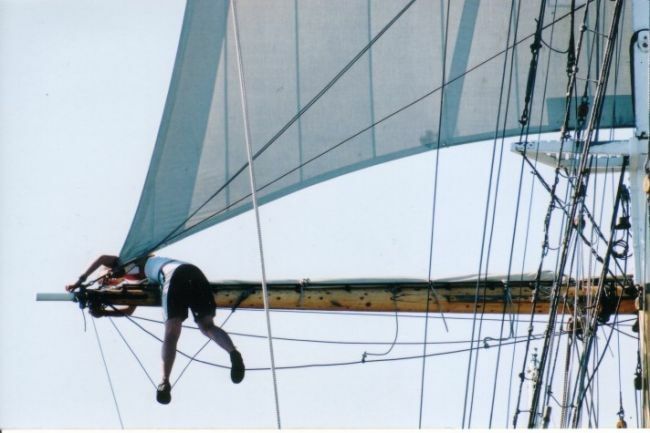 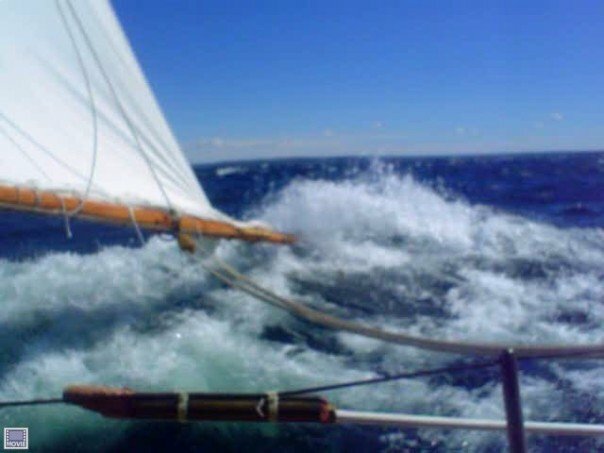 This picture truly summs up why these ships were so fast! 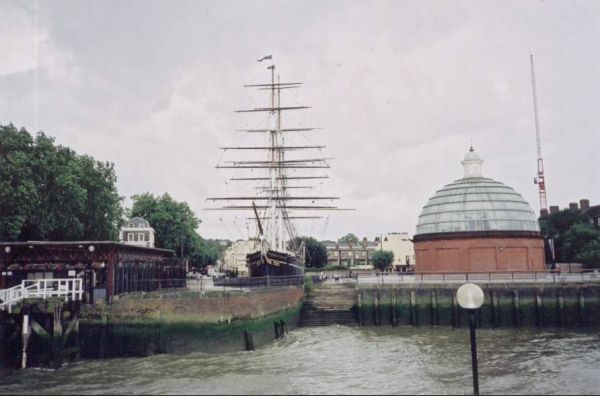 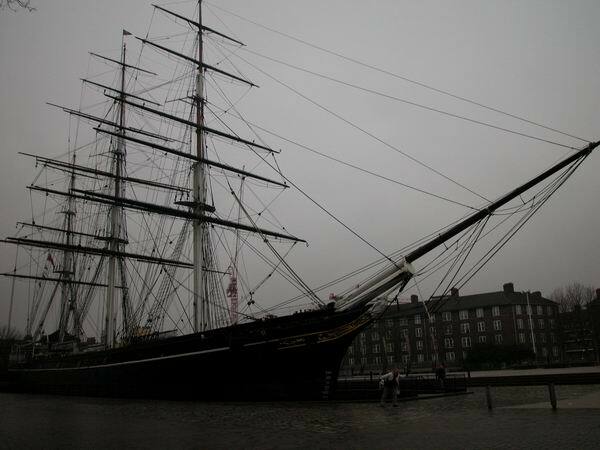 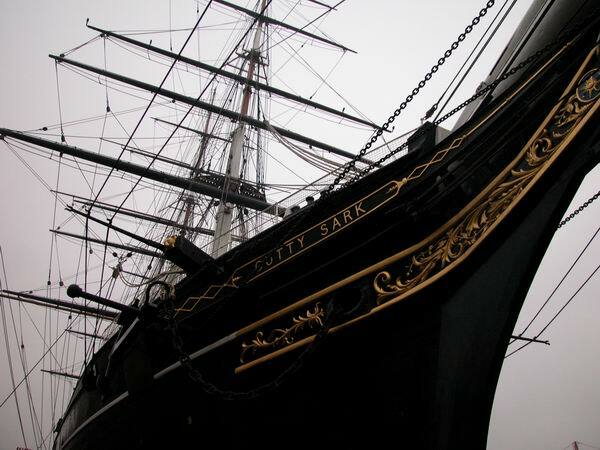 This is the first view you get of the Cutty Sark as you approach Greenwich down the Thames from London. 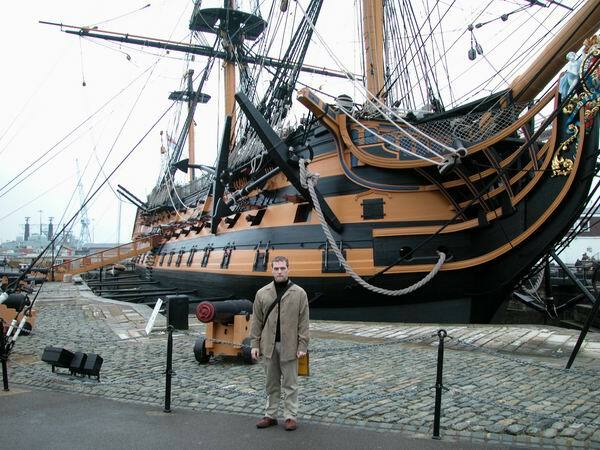 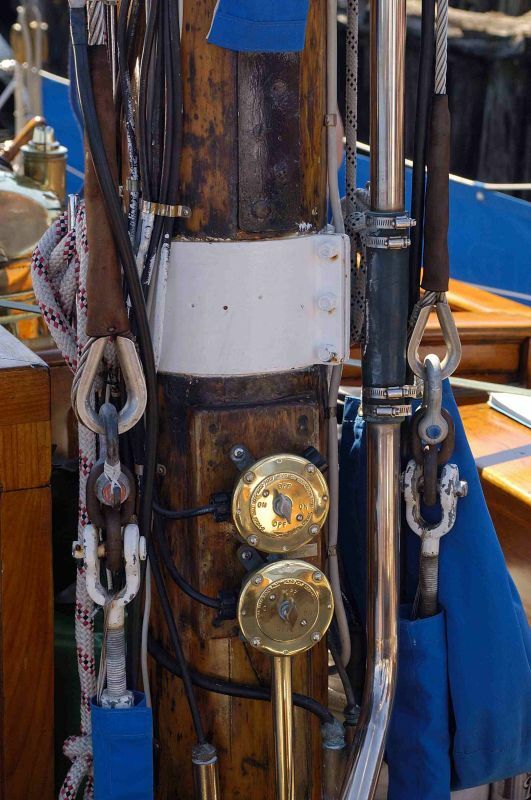 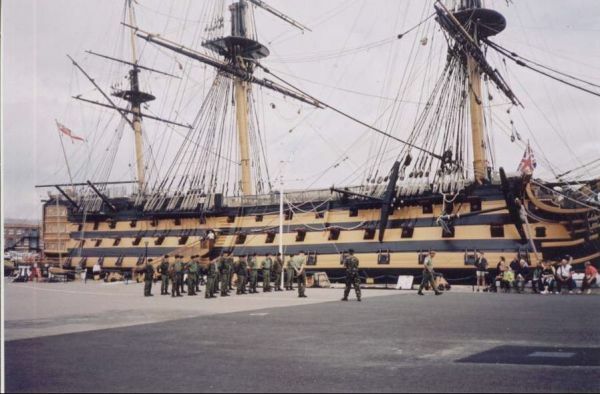 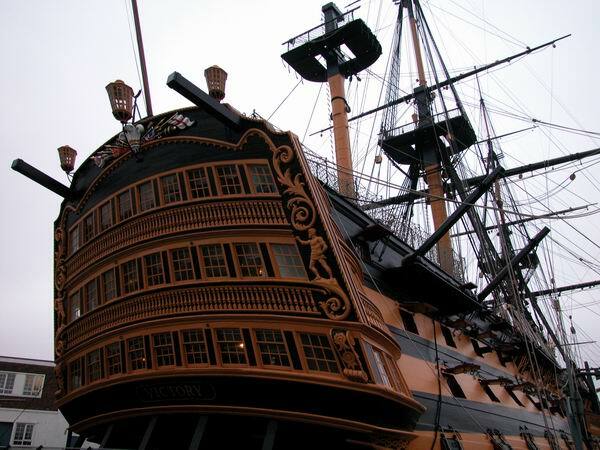 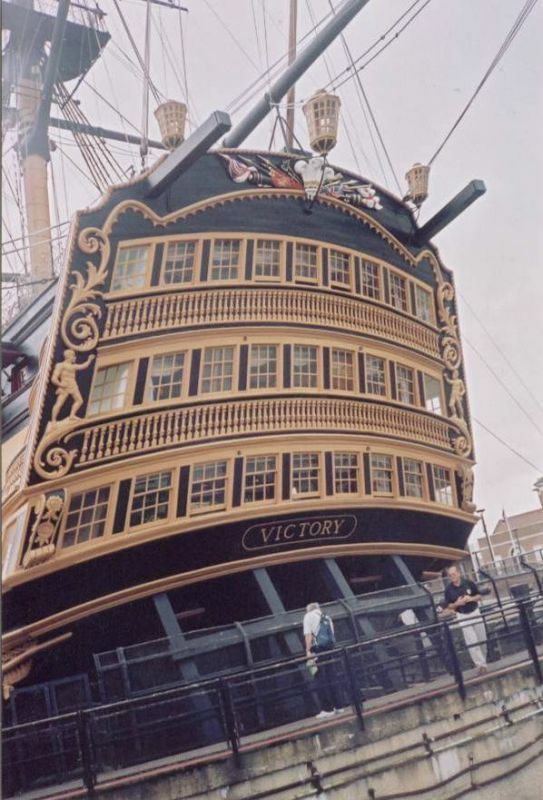 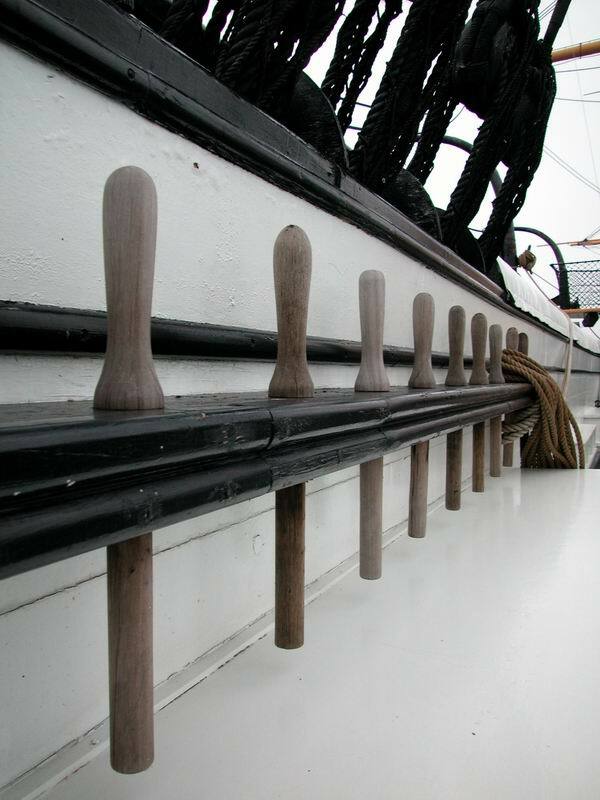 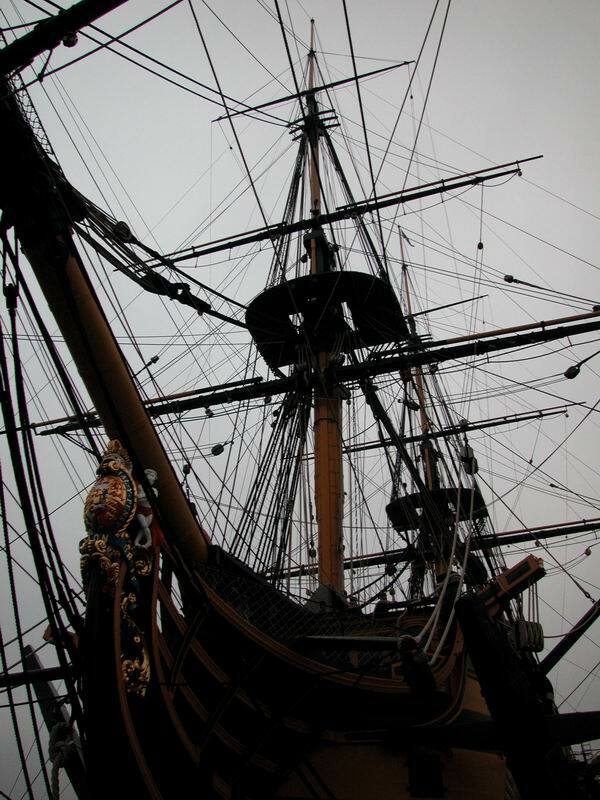 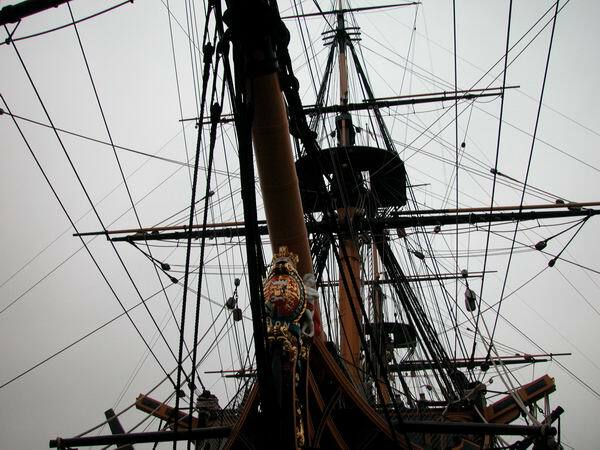 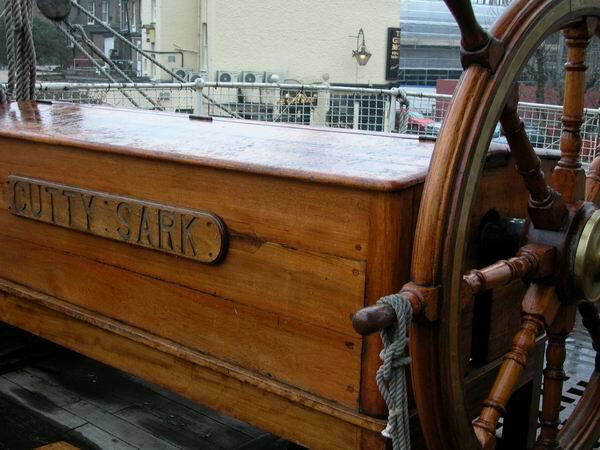 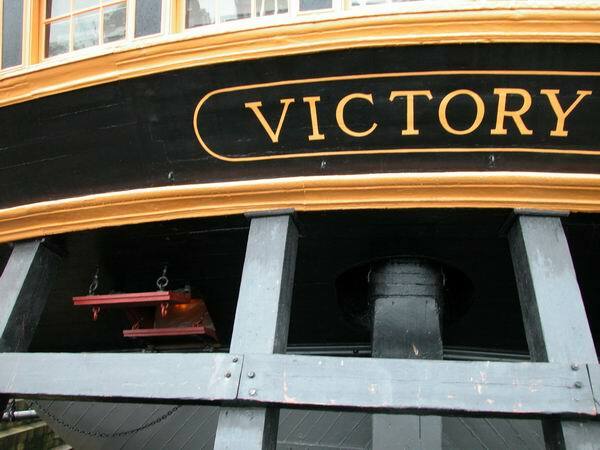 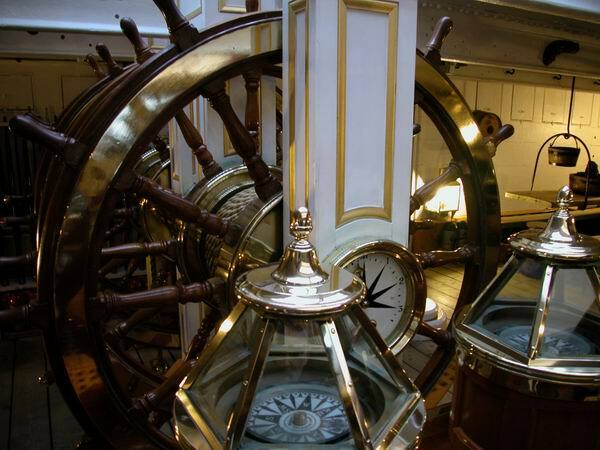 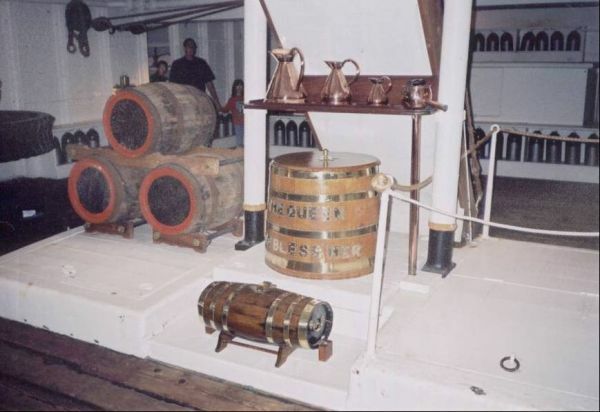 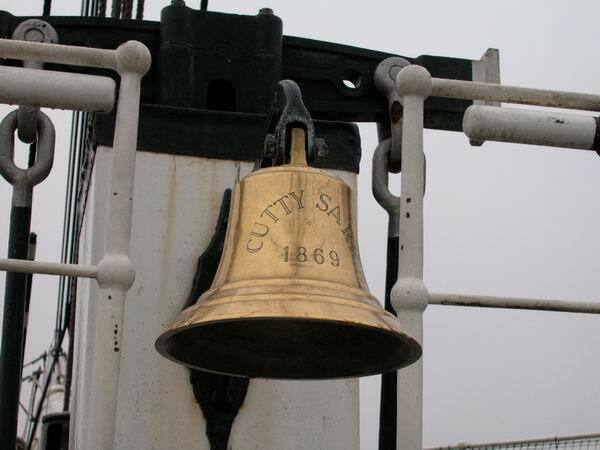 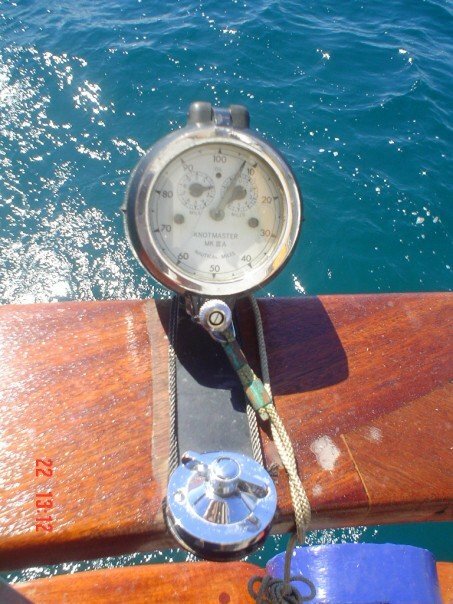 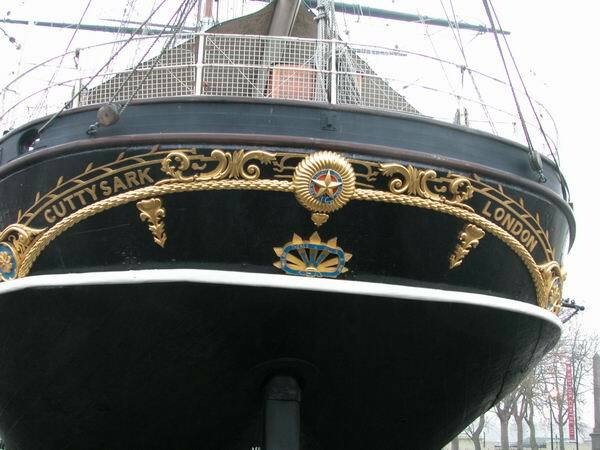 This was a standard fitting on any ship in the Royal Navy. 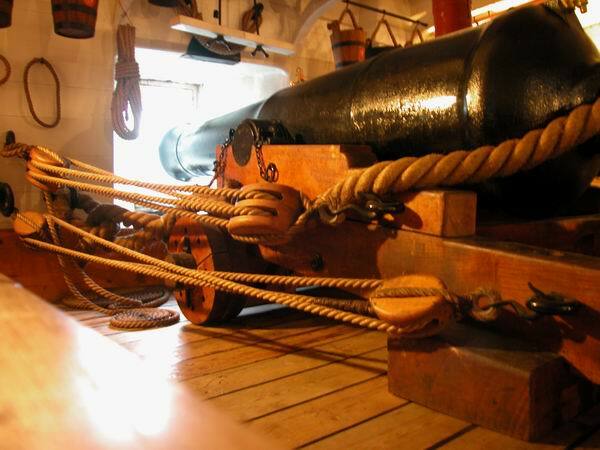 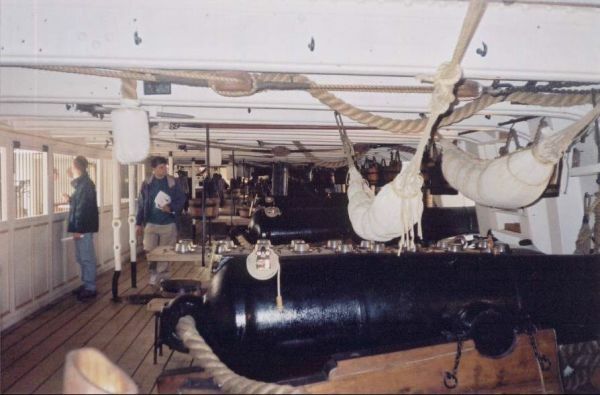 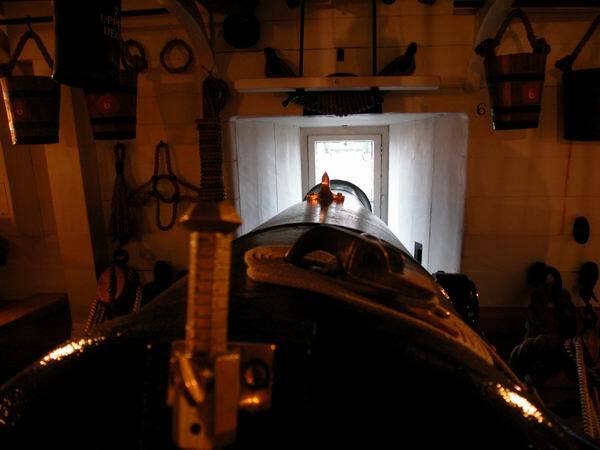 Another view of some of the cannons on the Warrior. 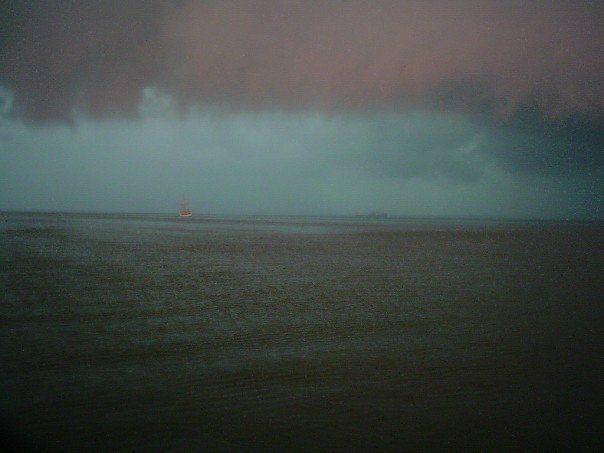 there was very little light - but I was trying to avoid using my flash... this kinda worked. 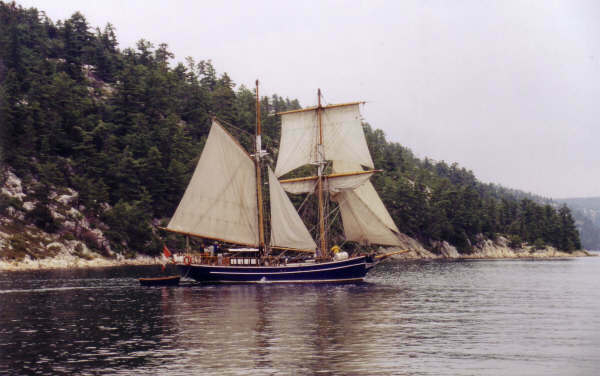 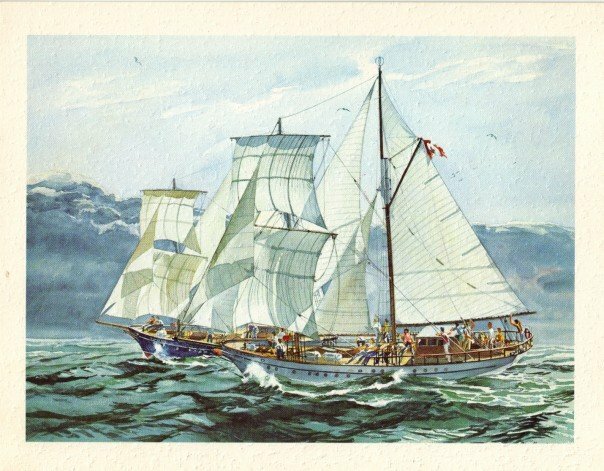 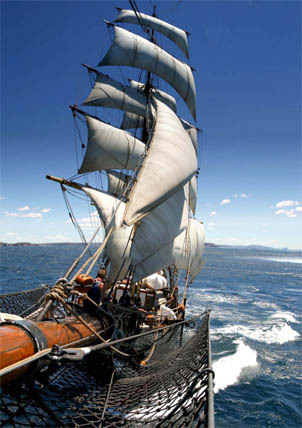 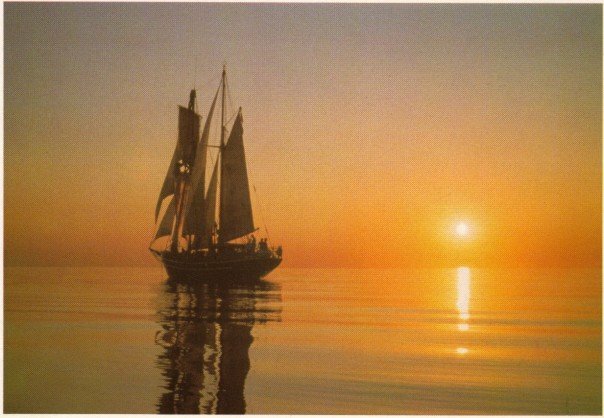 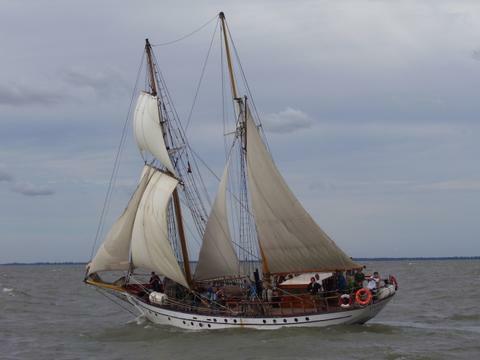 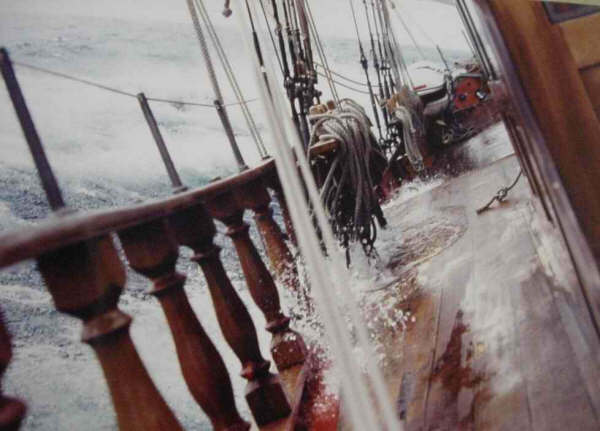 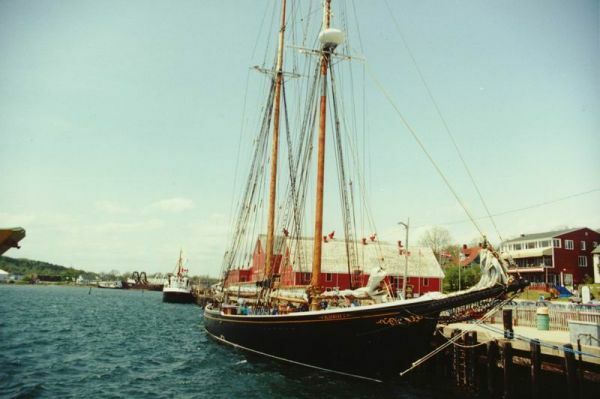 1874 barque James Craig bowls along - photo by John Spiers. 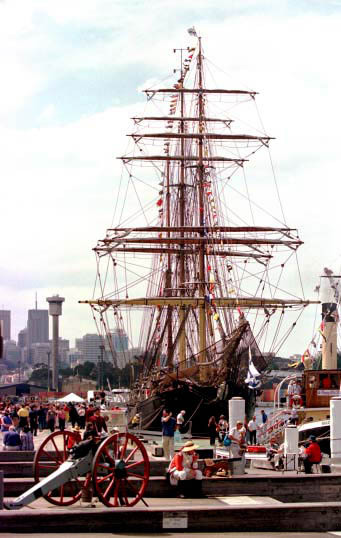 James Craig (aged 130) dressed up for the birthday party of two of our younger ships, Lady Hopetoun and Waratah, who each turned 100. 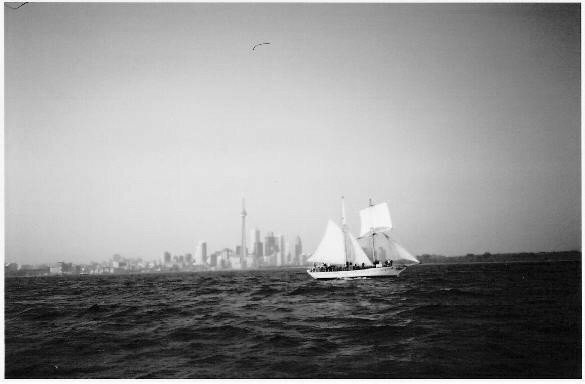 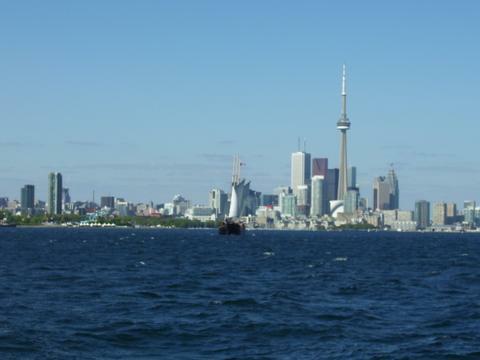 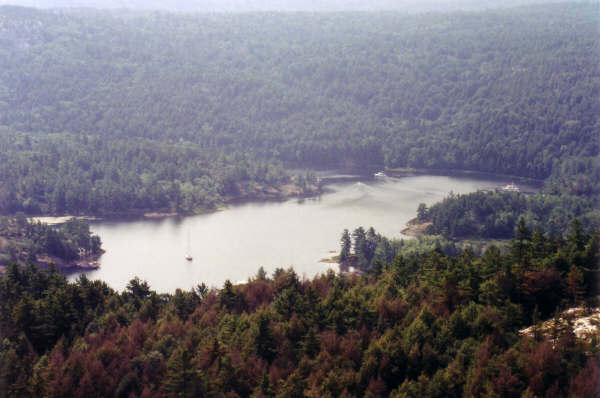 Photo by John Spiers. 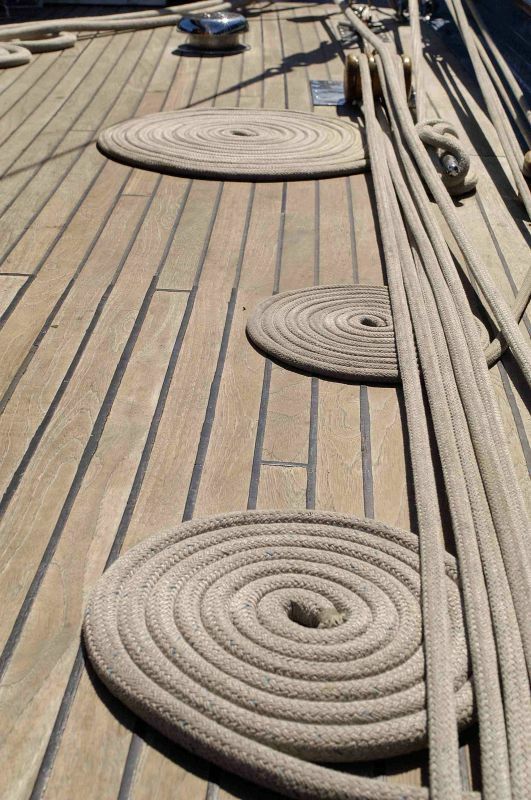 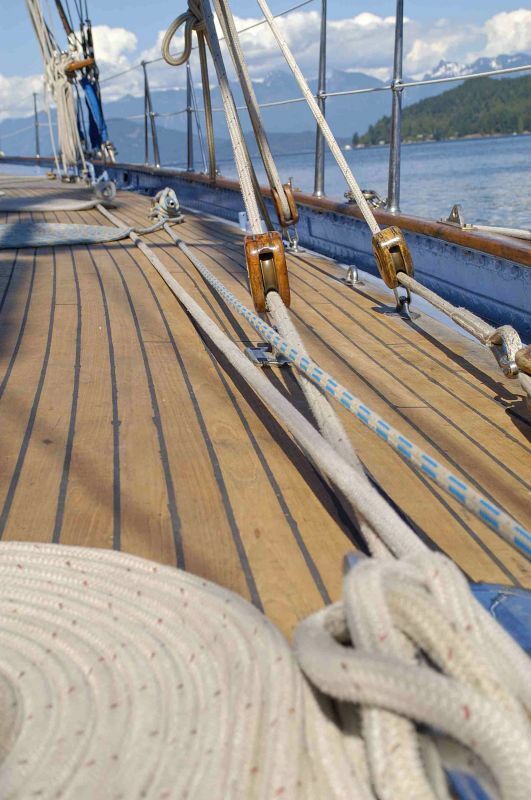 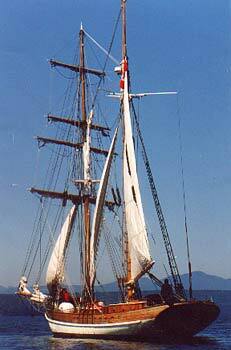 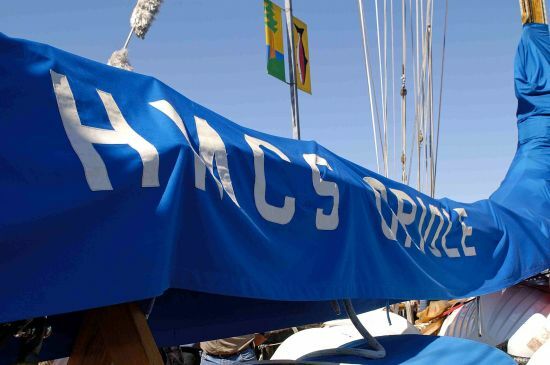 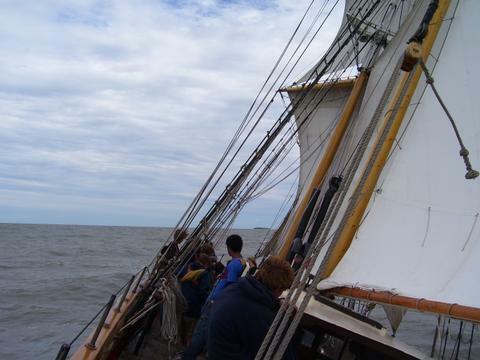 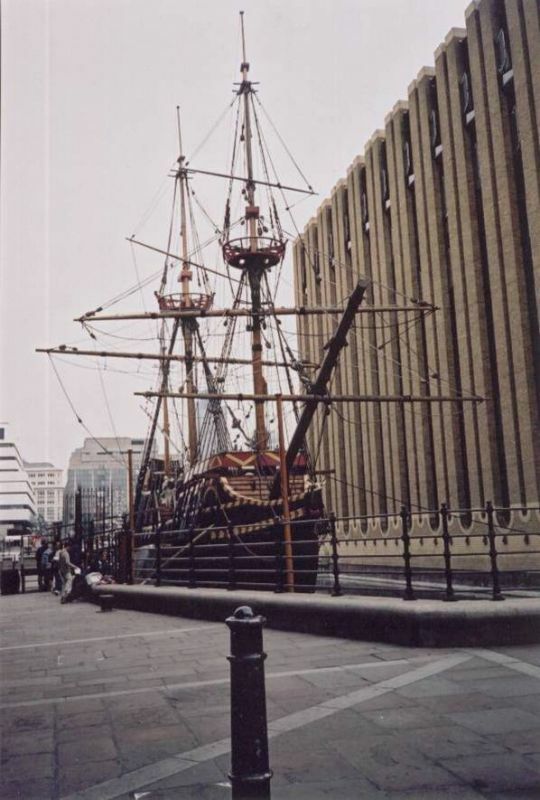 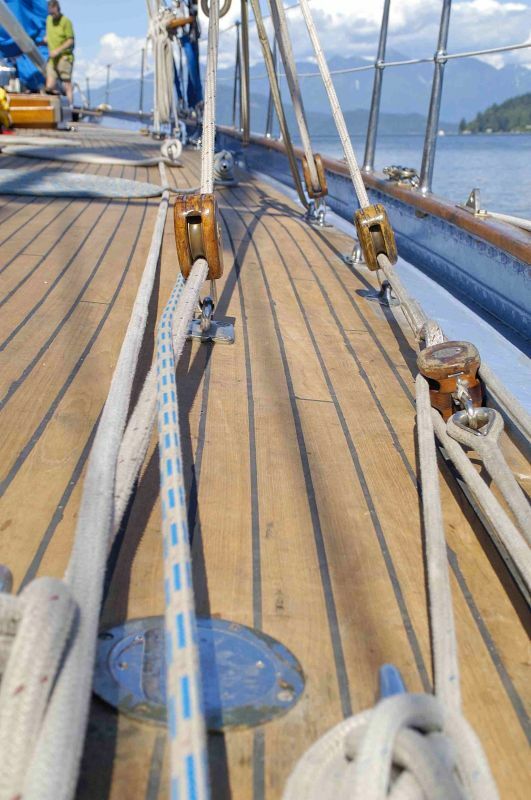 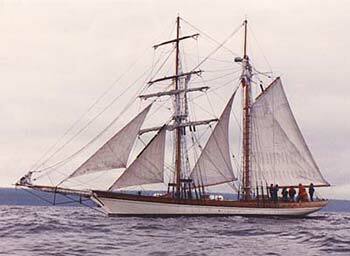 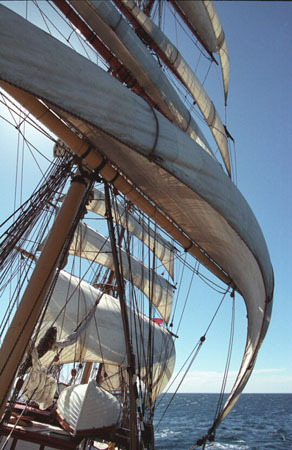 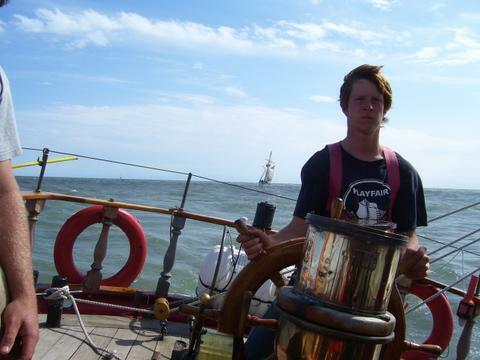 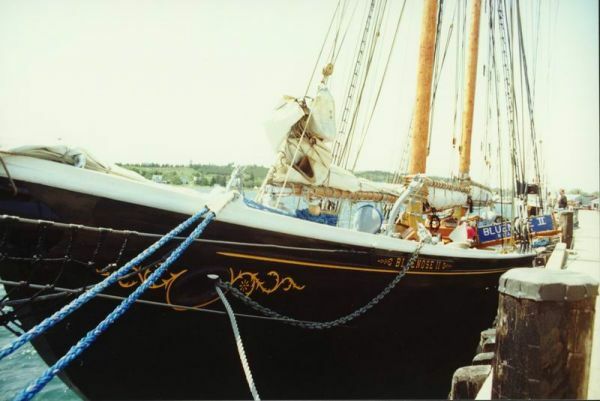 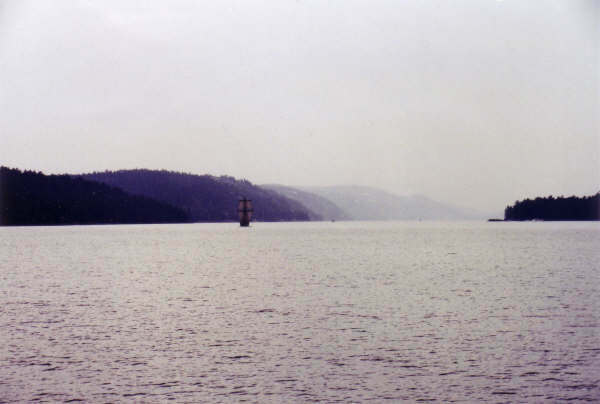 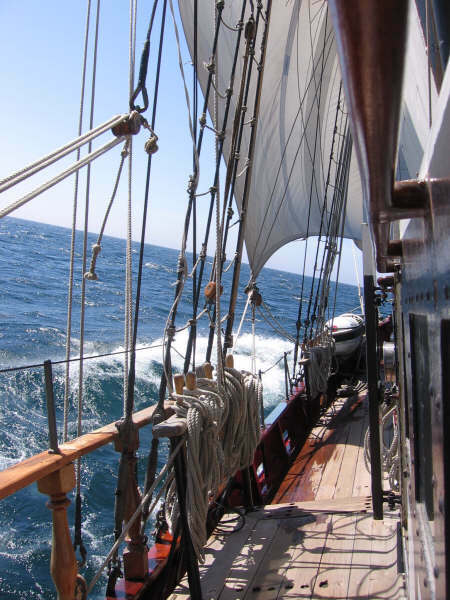 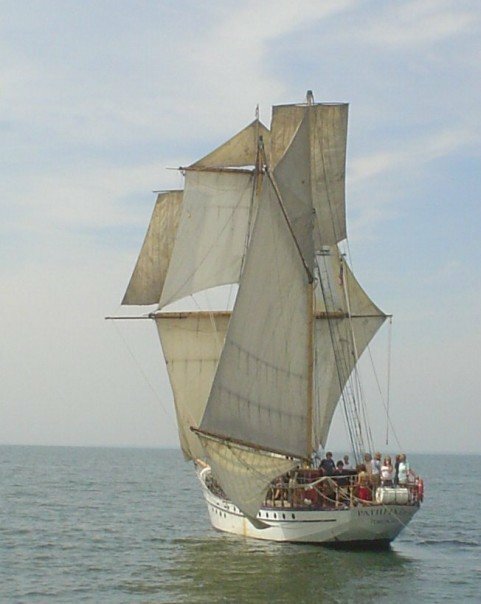 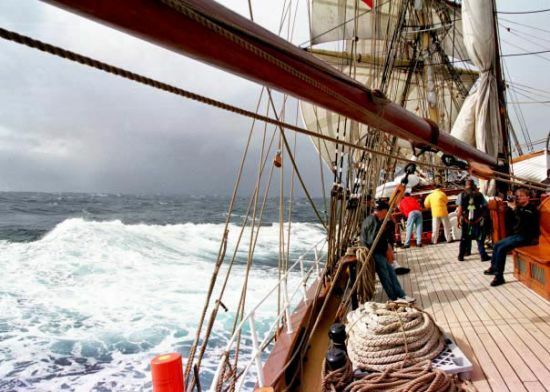 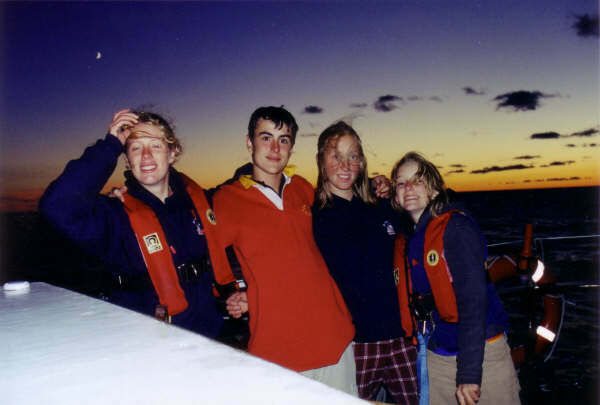 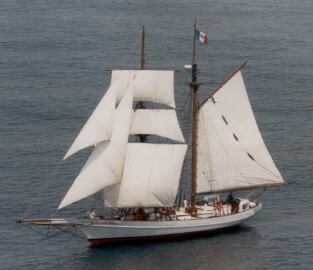 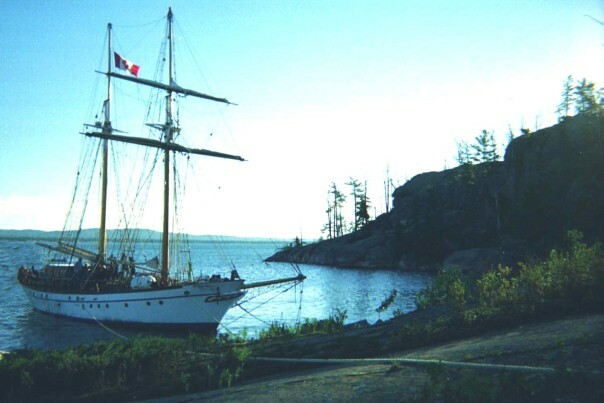 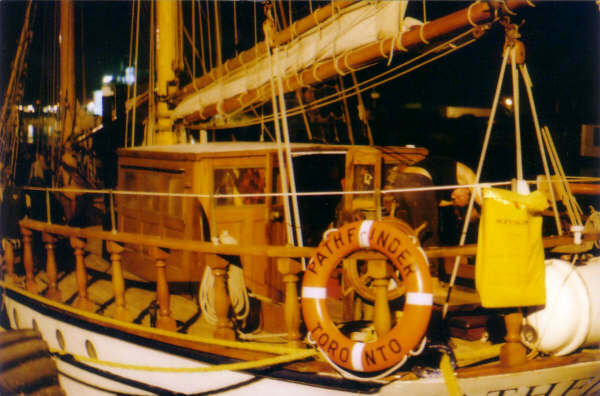 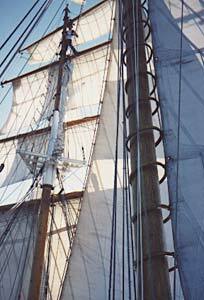 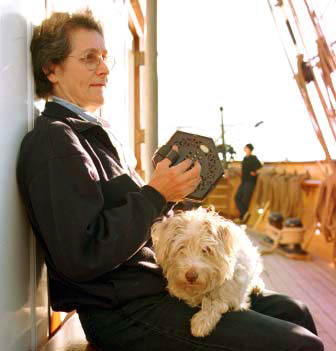 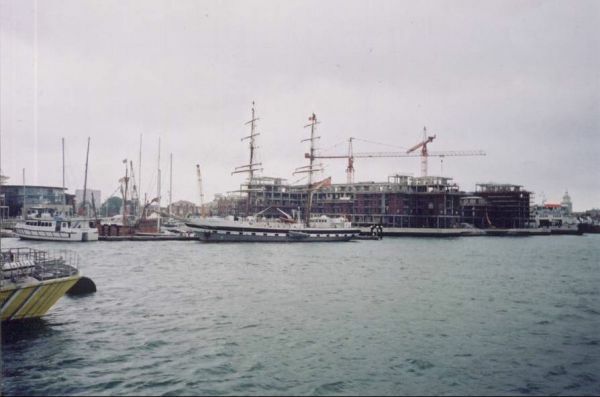 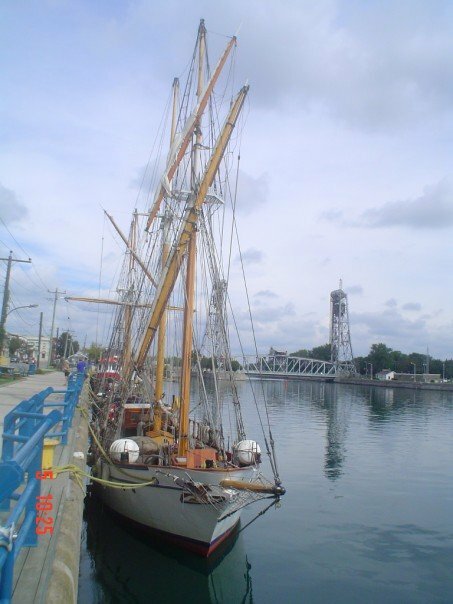 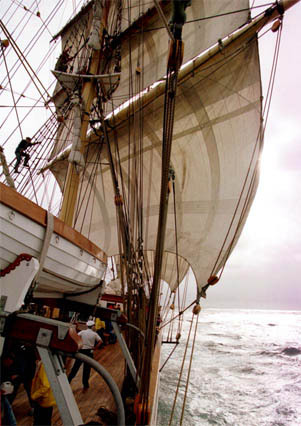 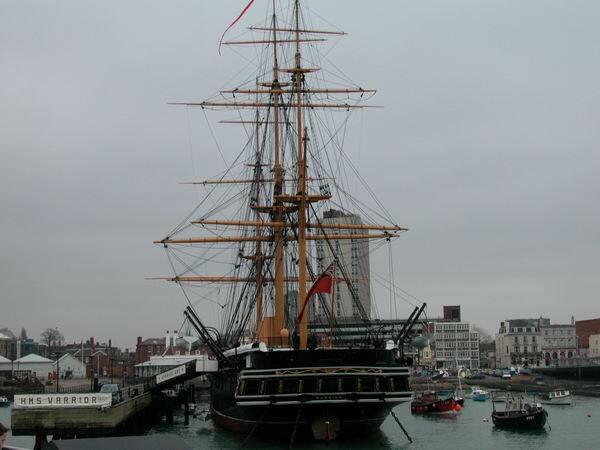 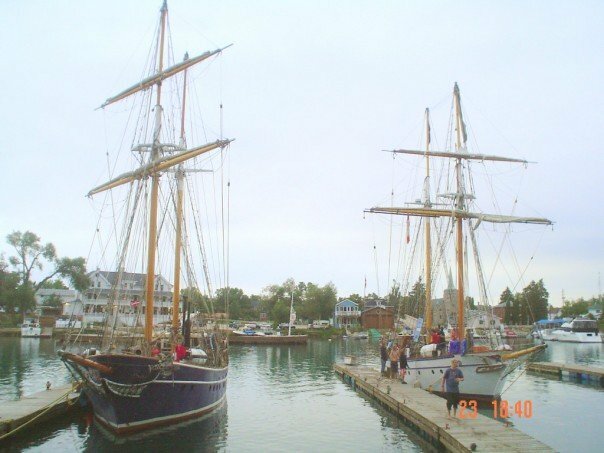 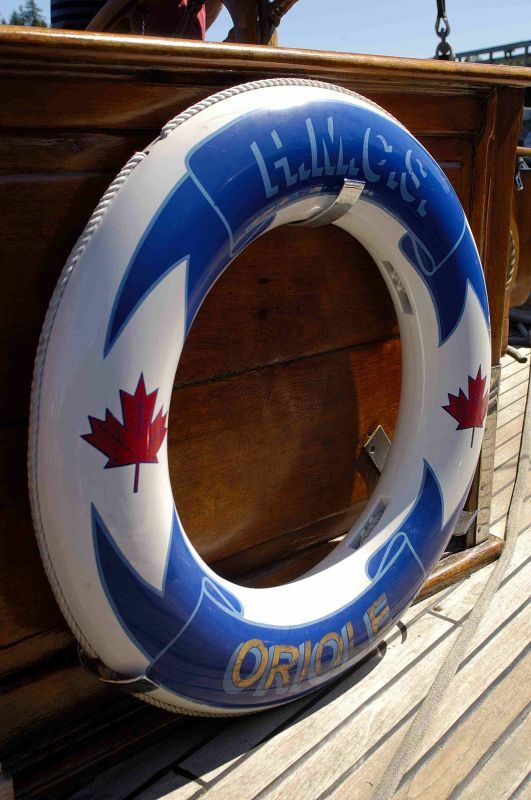 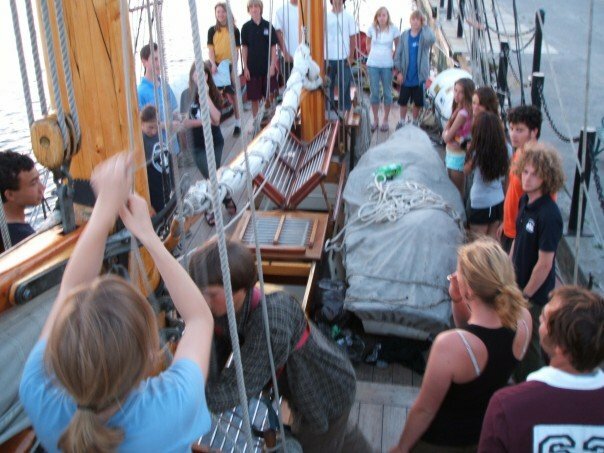 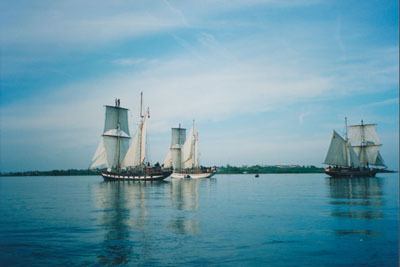 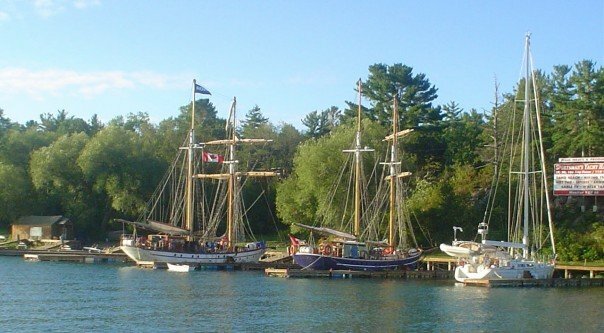 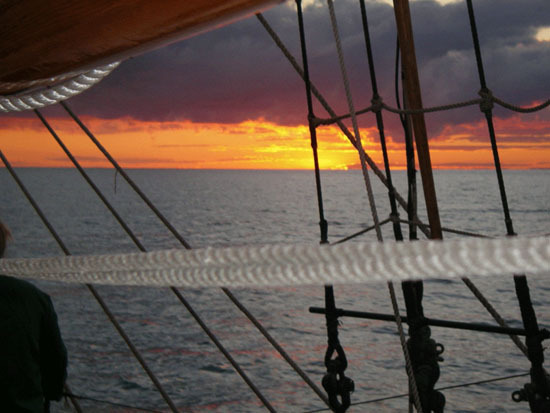 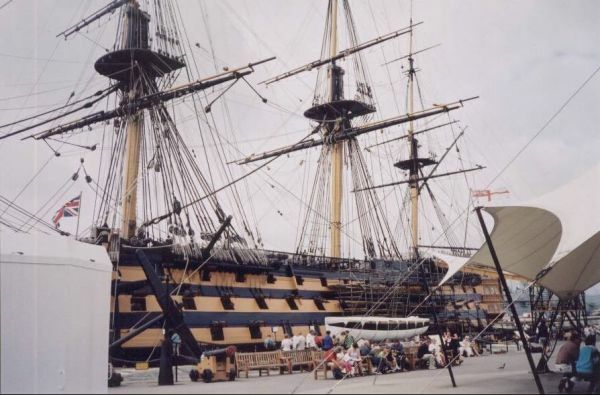 British cadet training ship Prince William. 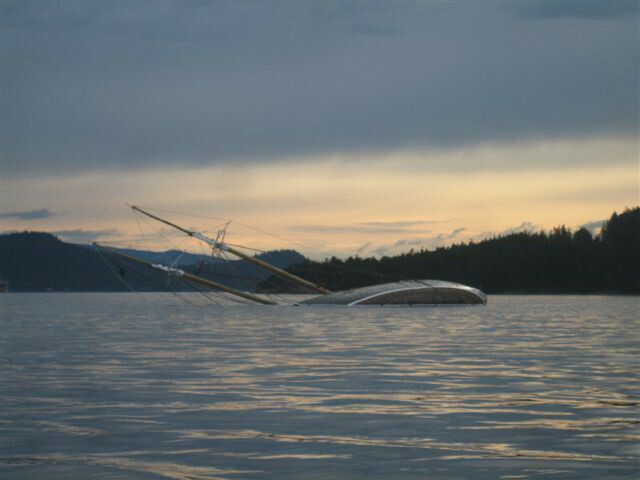 Created for one of our users. 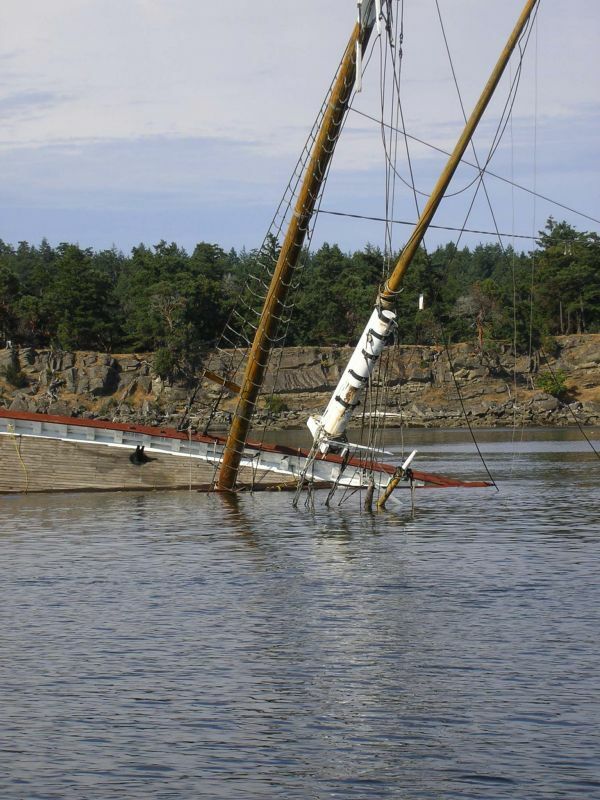 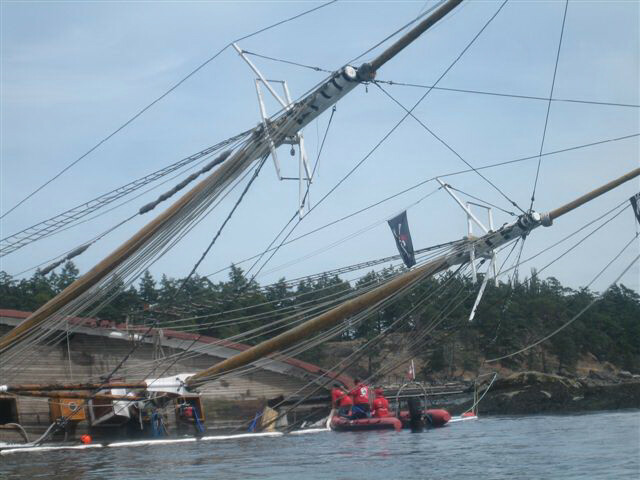 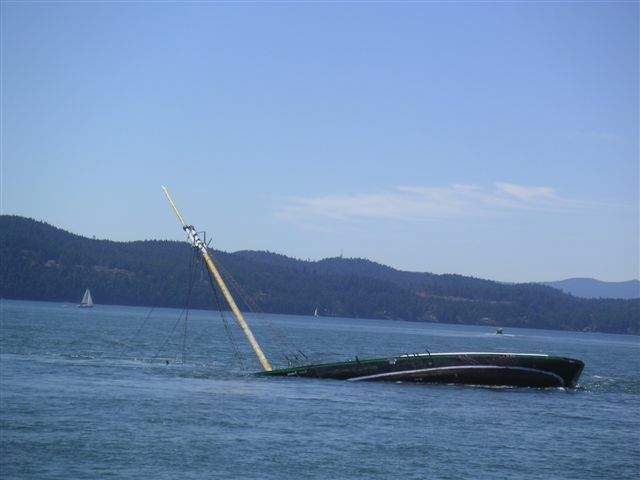 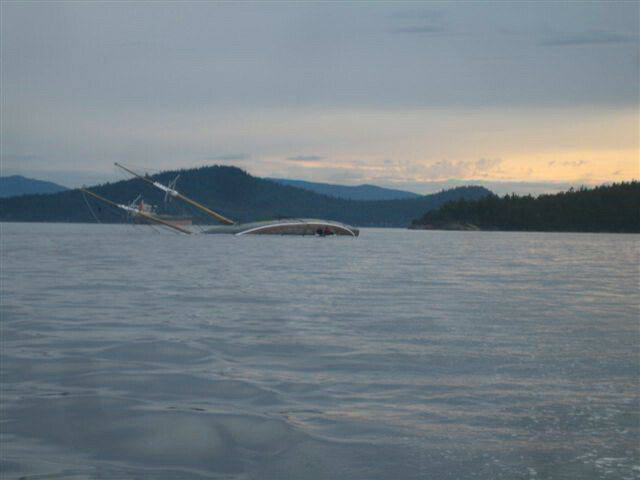 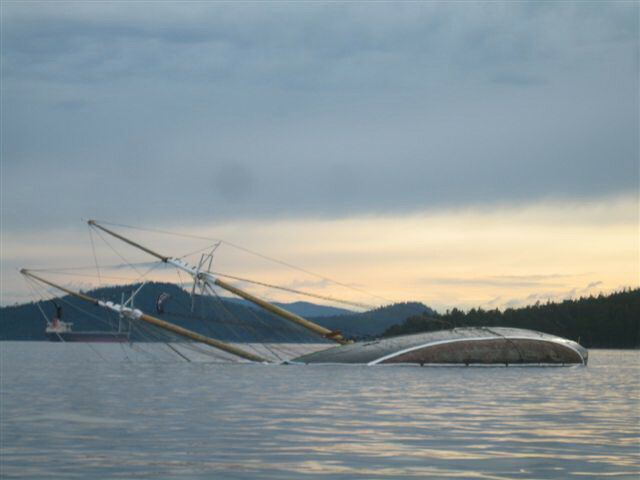 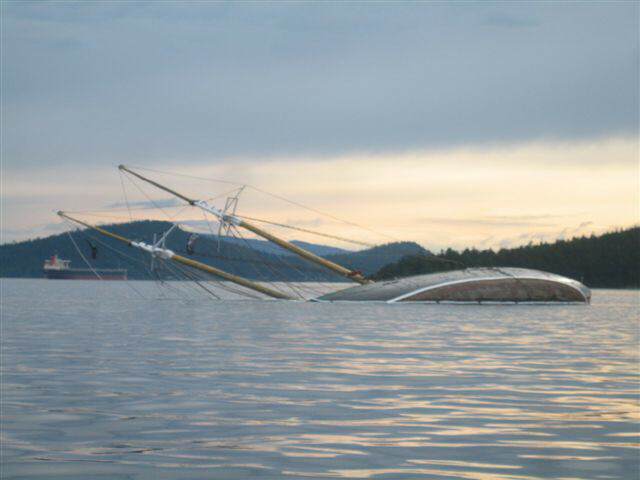 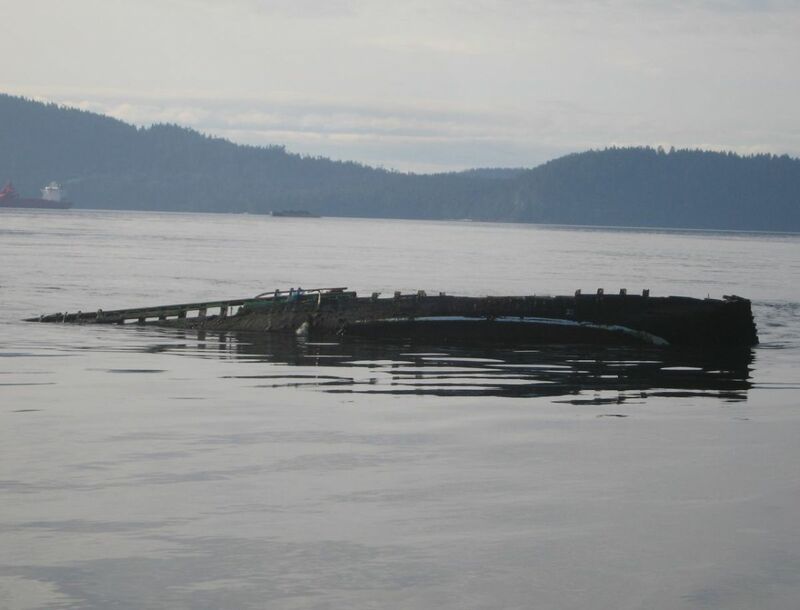 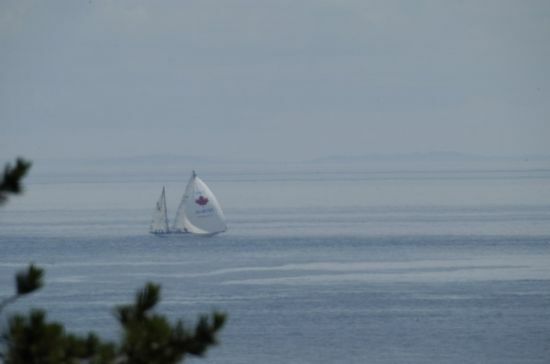 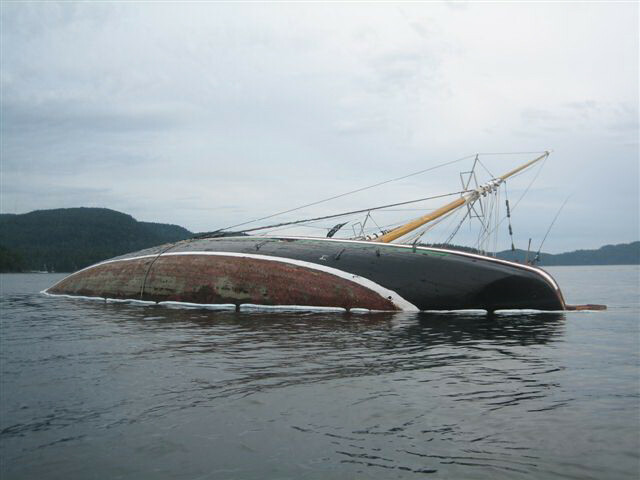 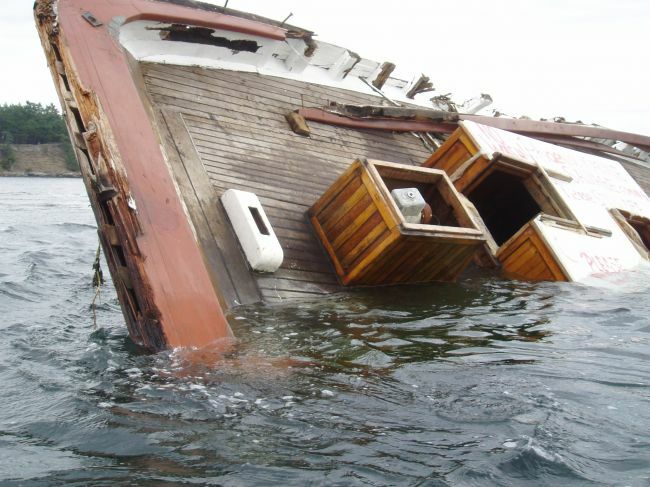 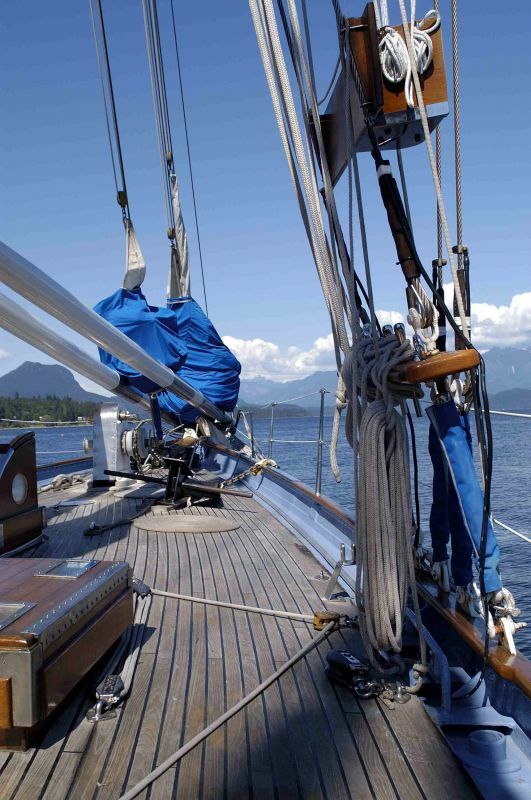 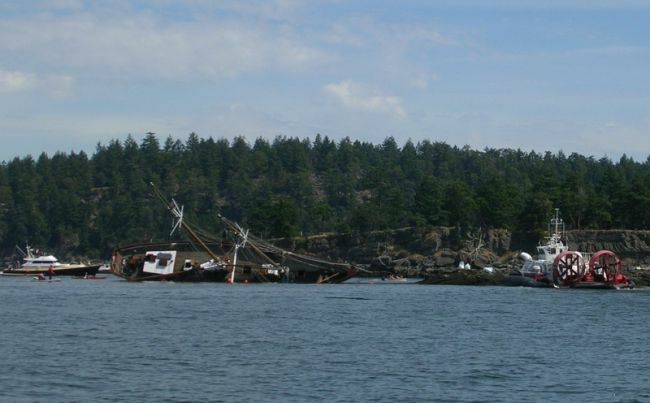 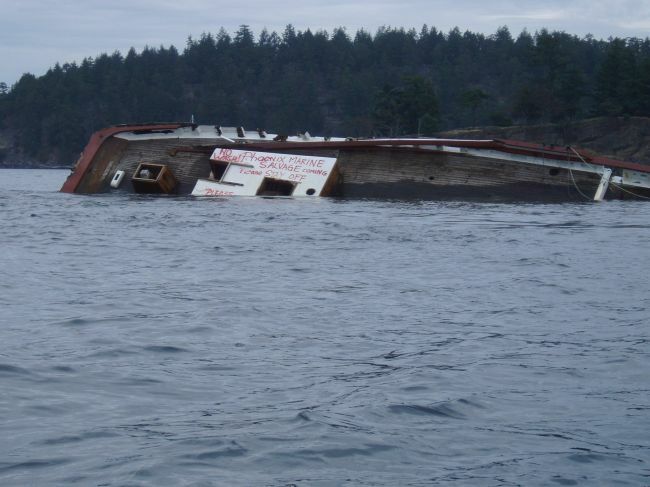 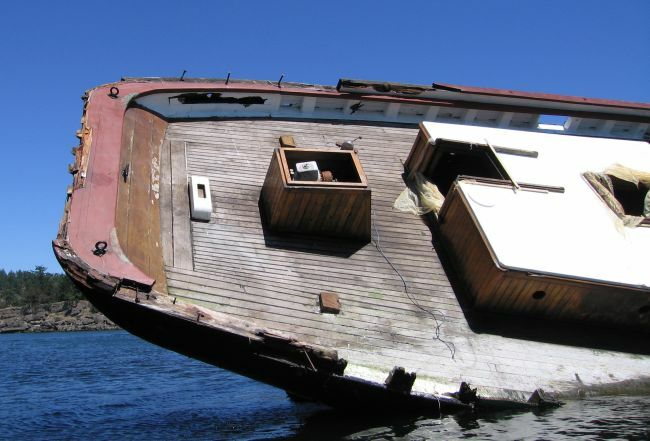 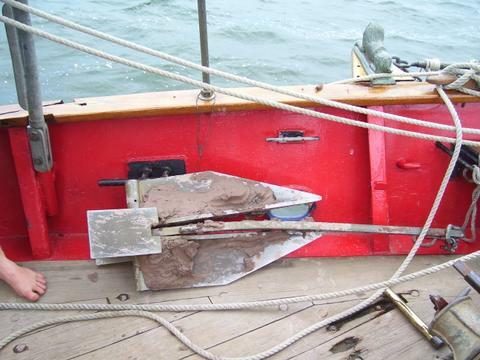 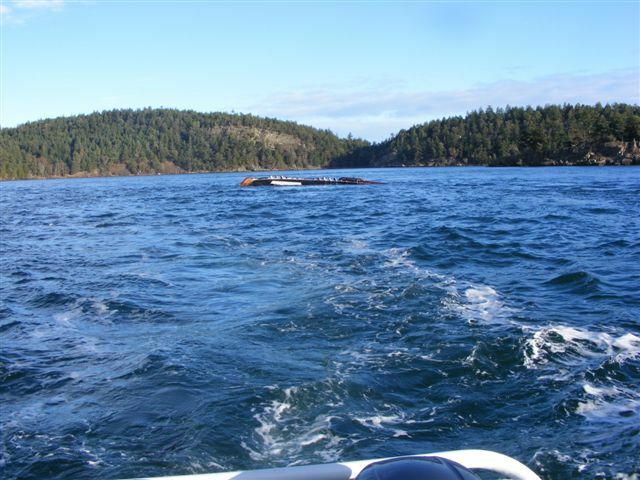 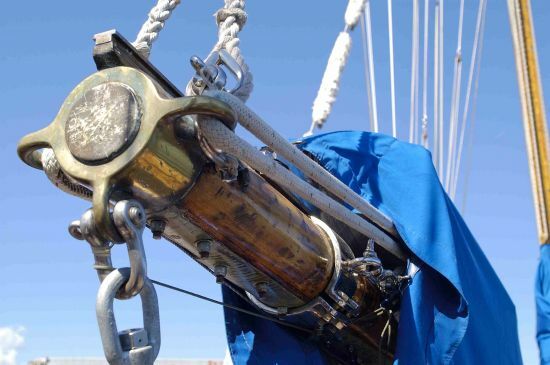 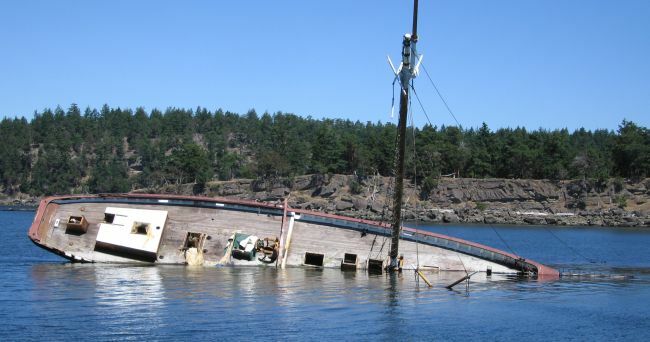 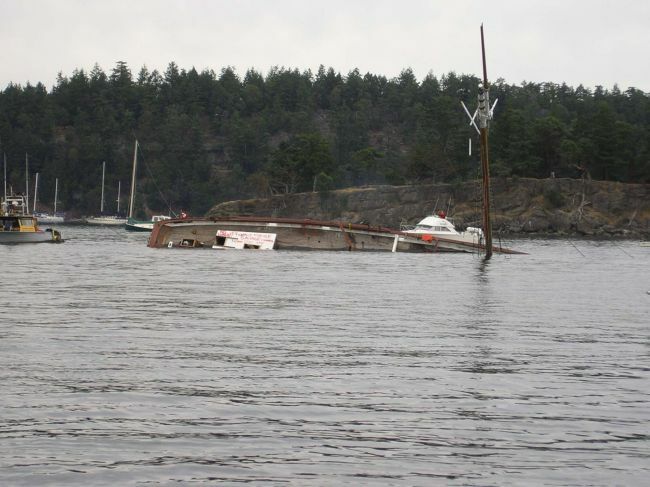 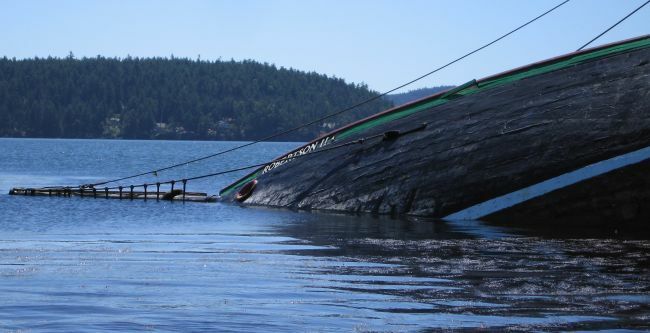 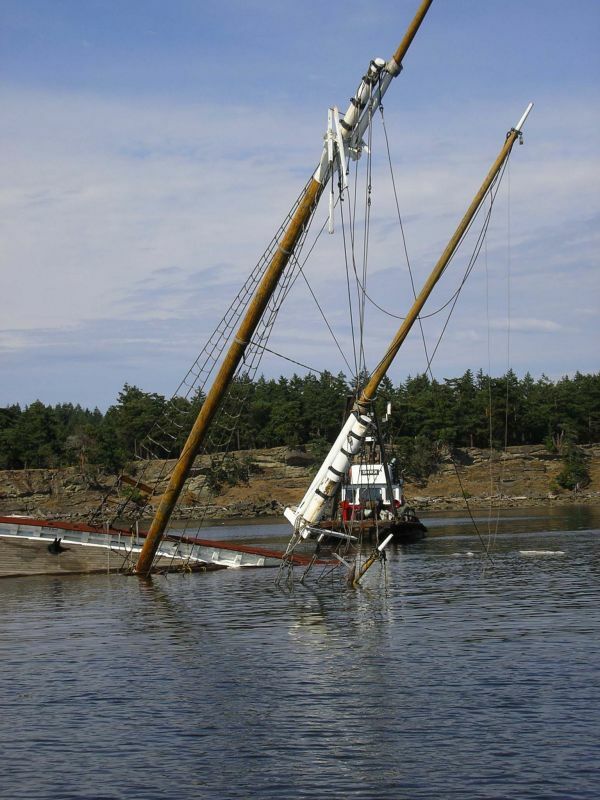 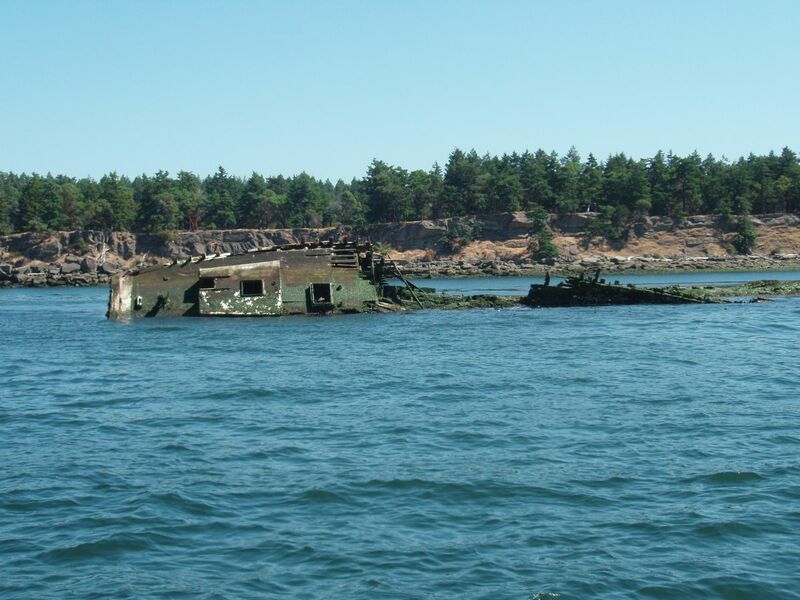 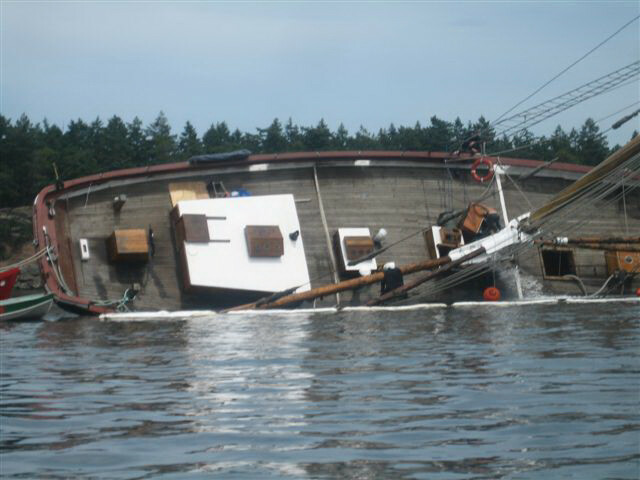 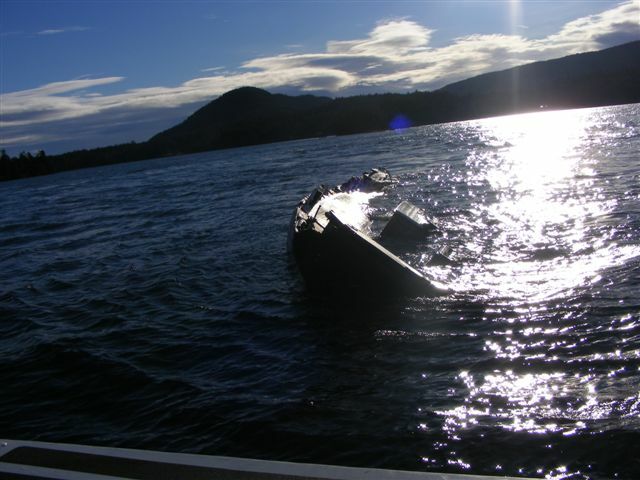 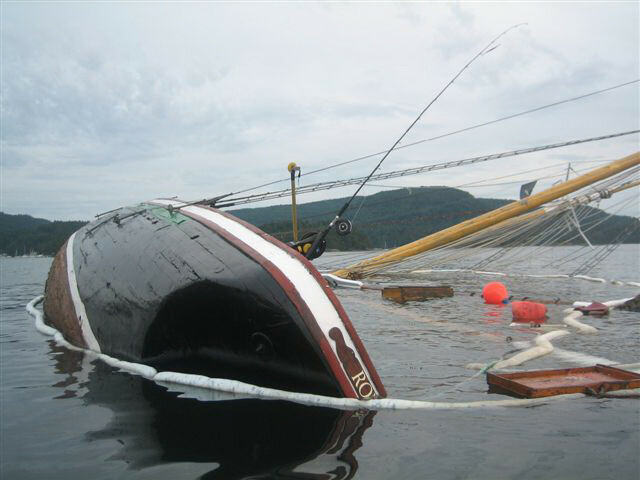 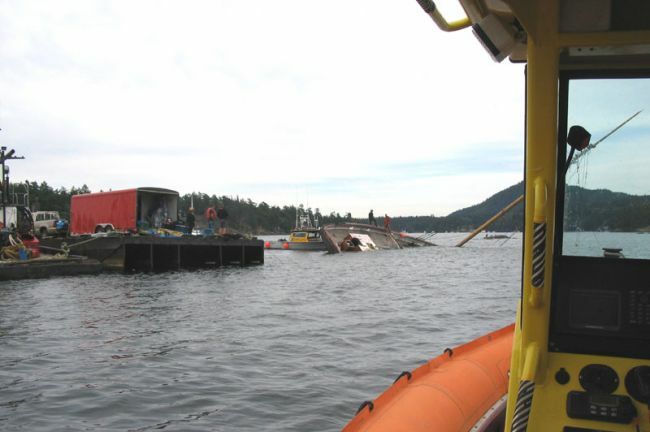 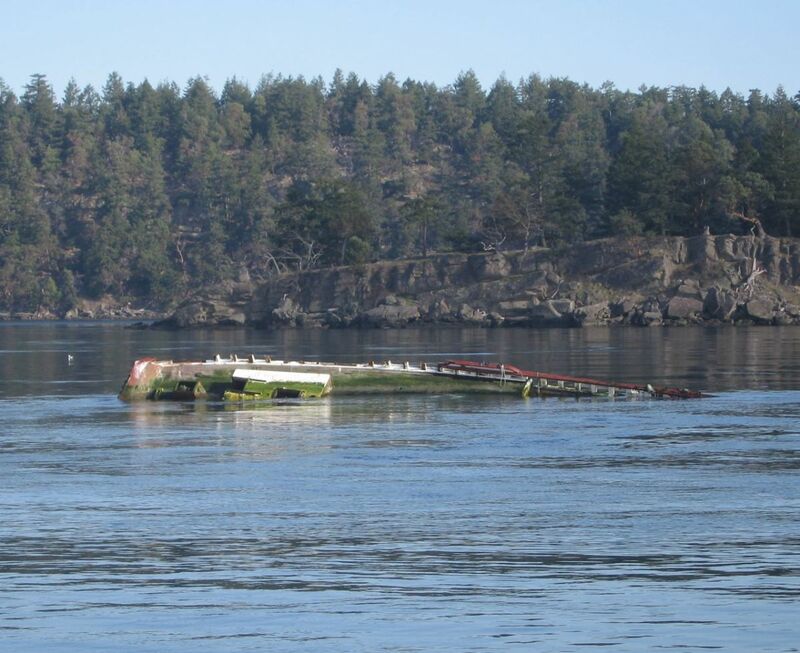 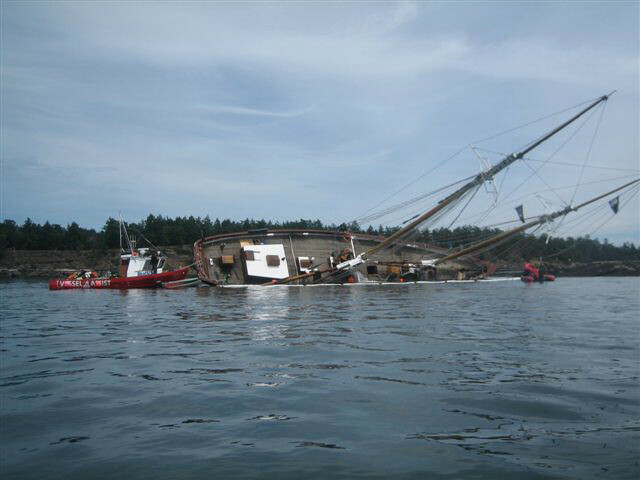 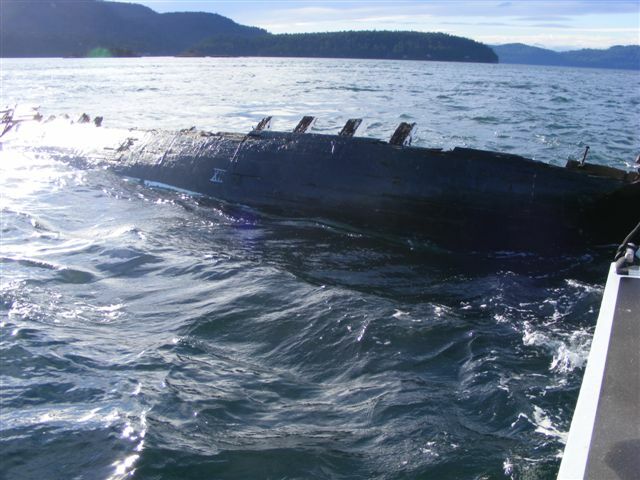 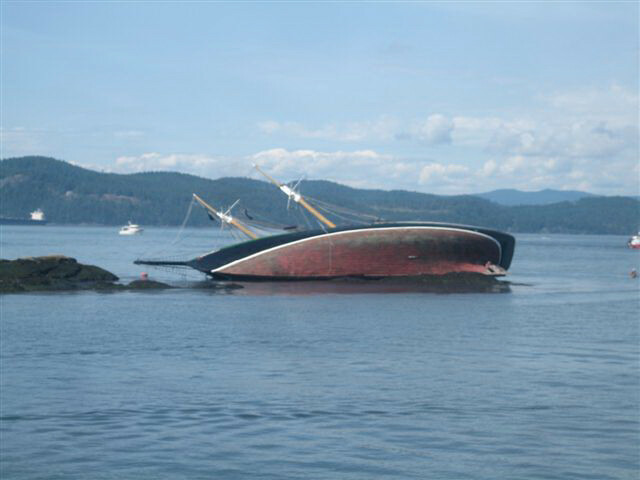 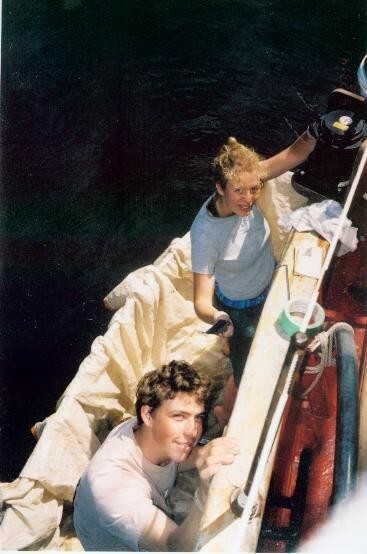 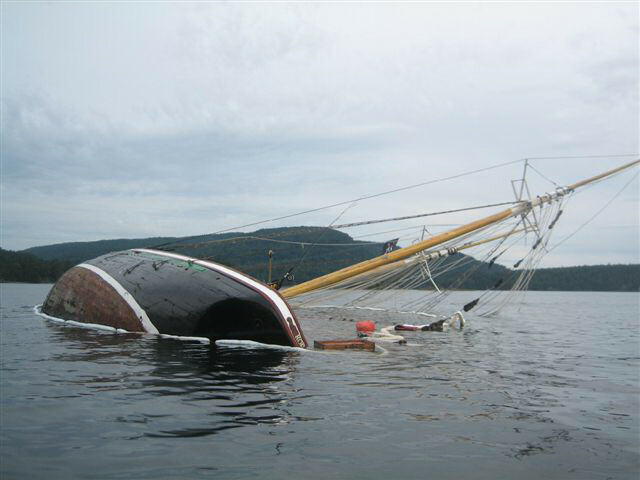 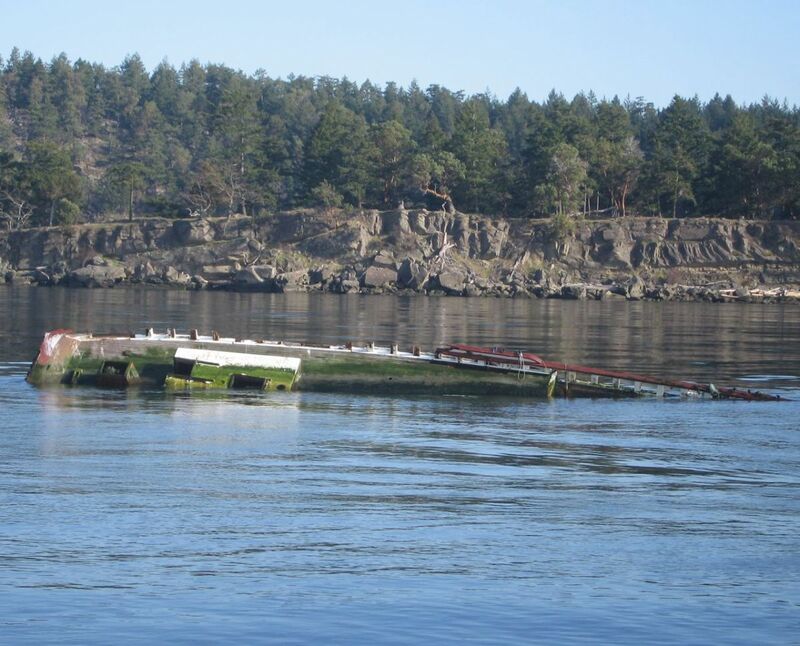 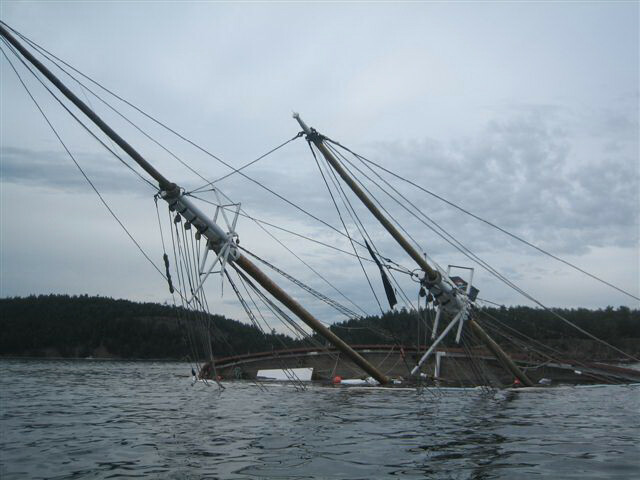 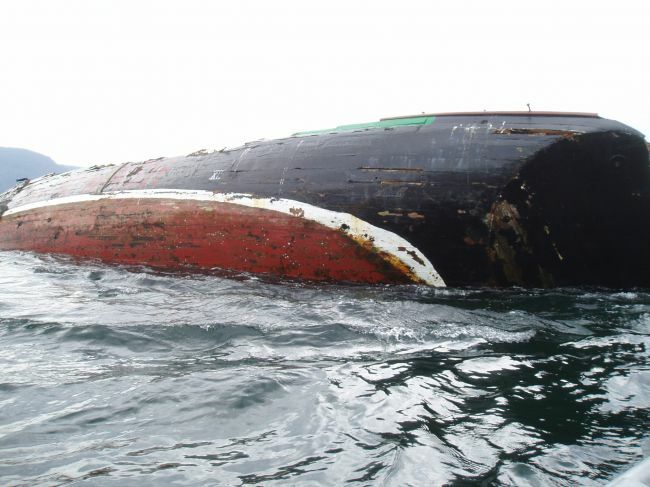 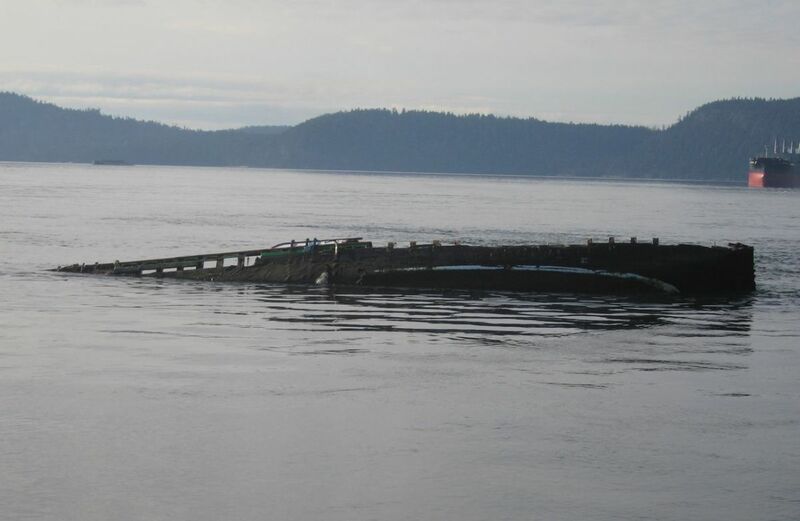 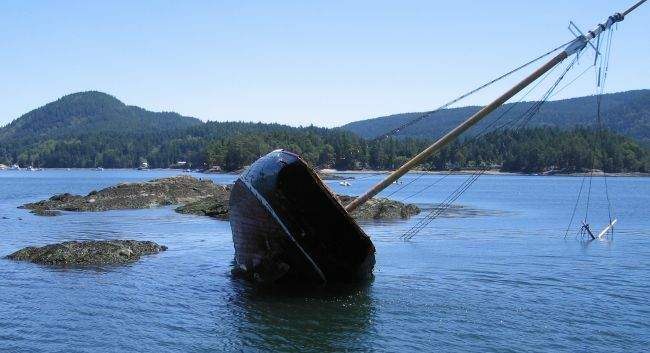 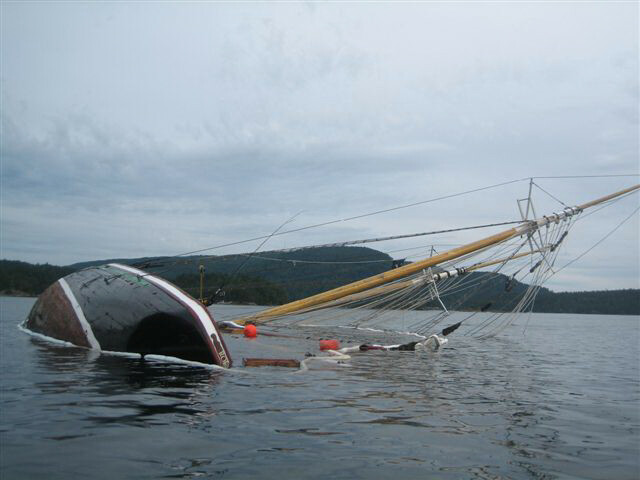 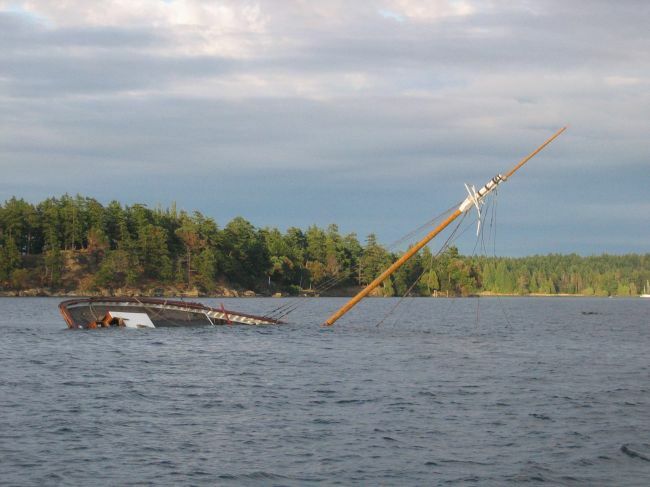 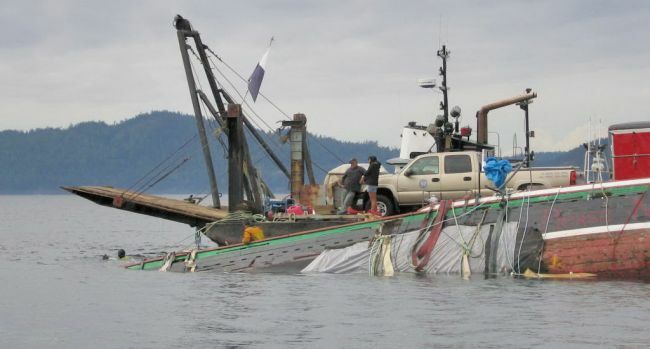 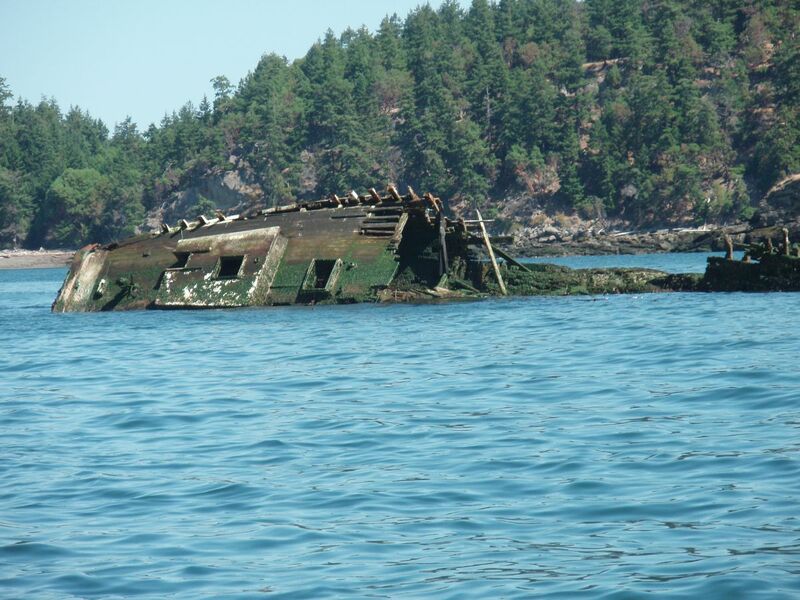 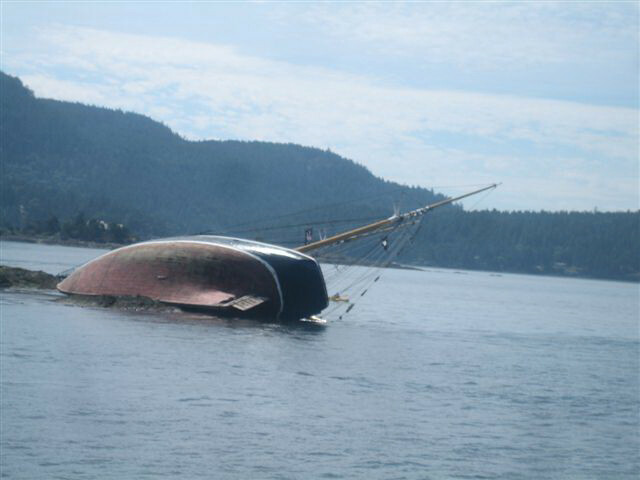 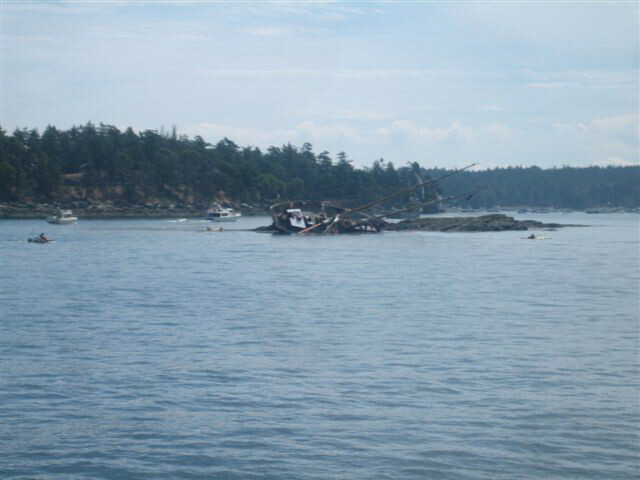 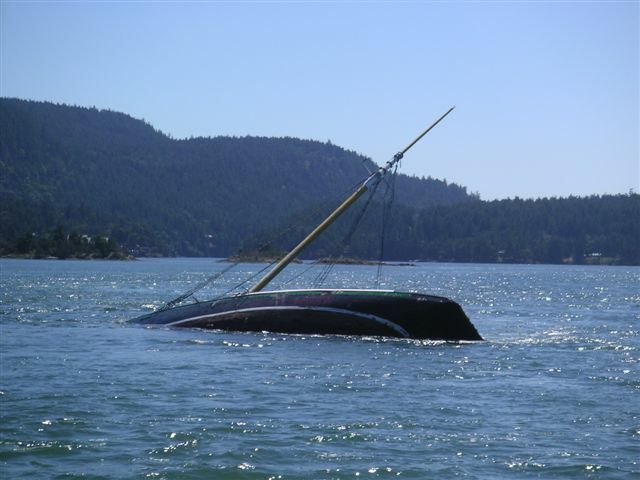 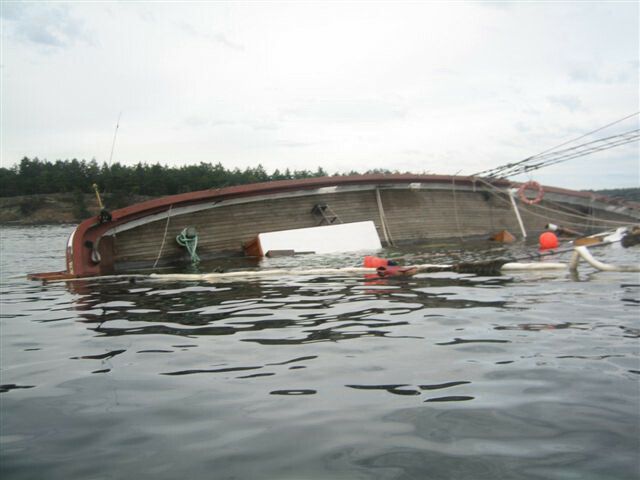 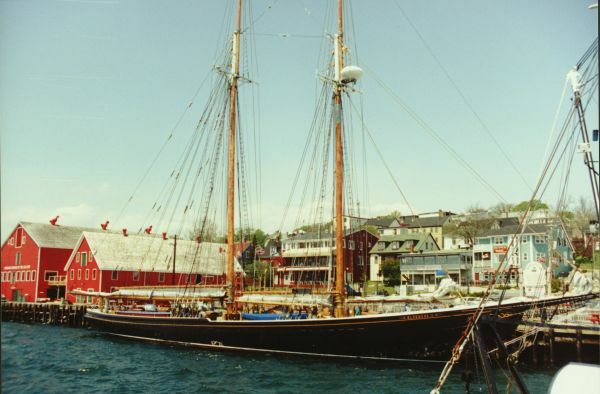 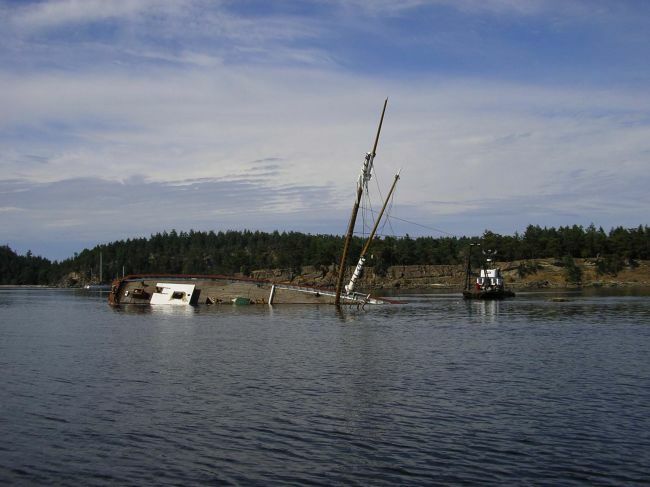 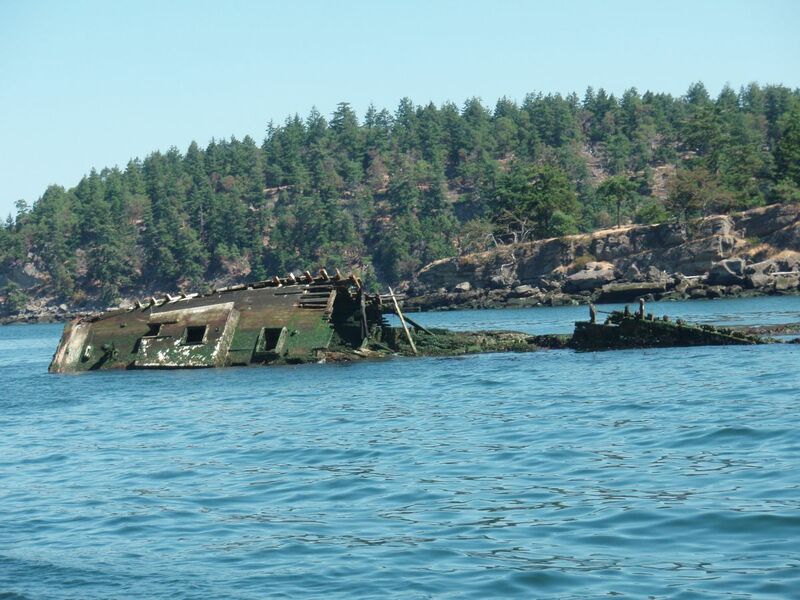 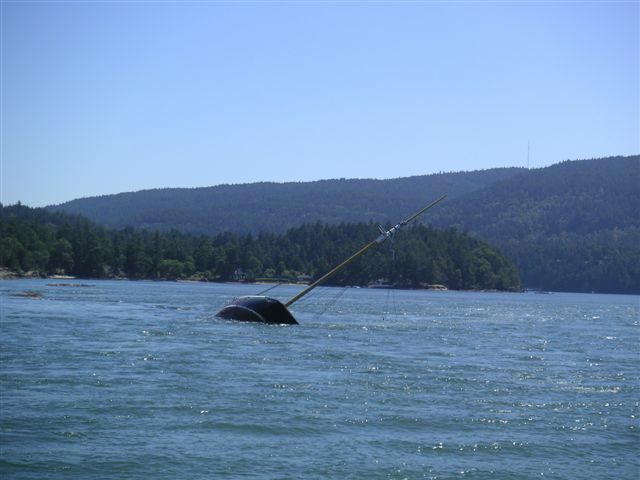 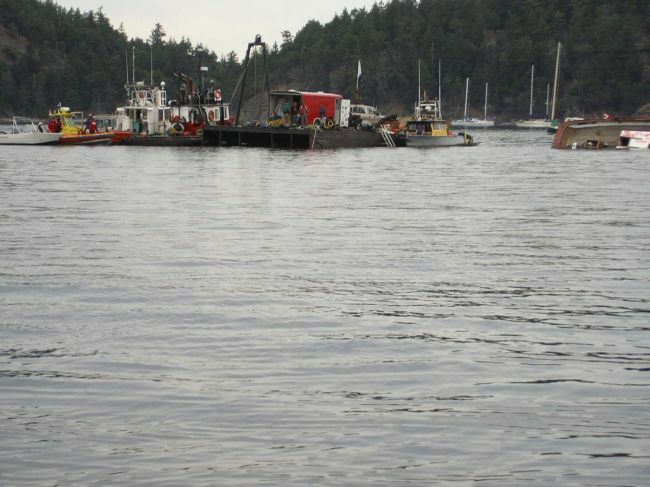 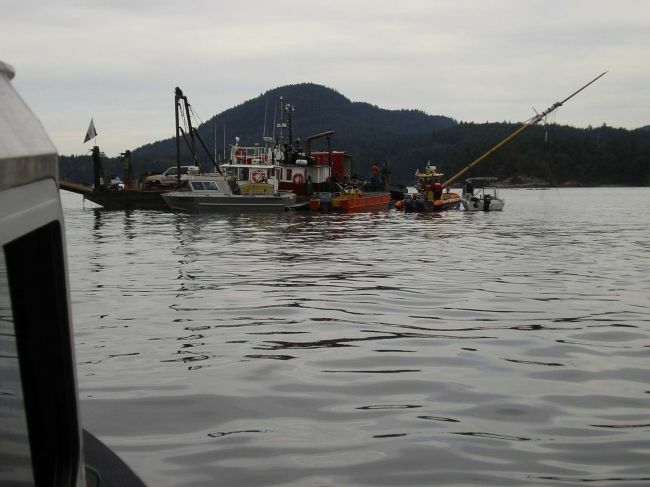 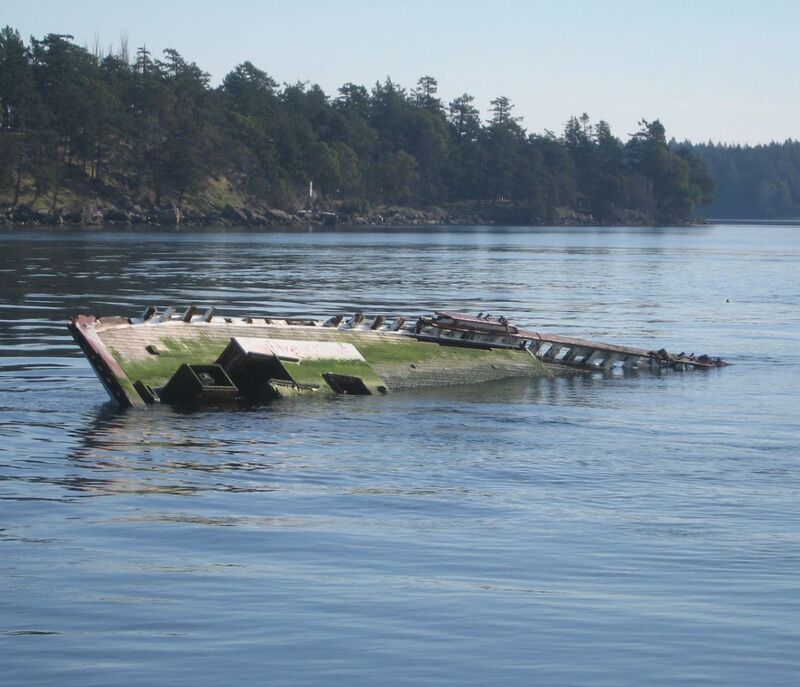 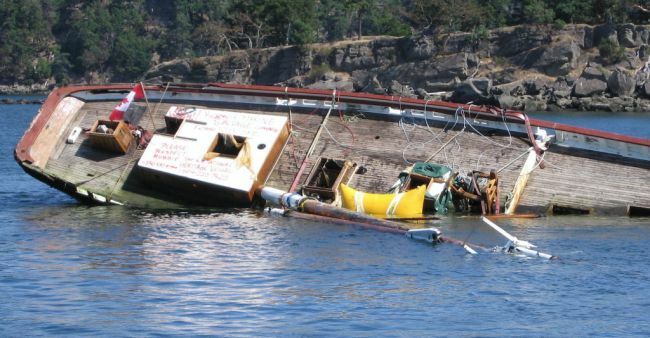 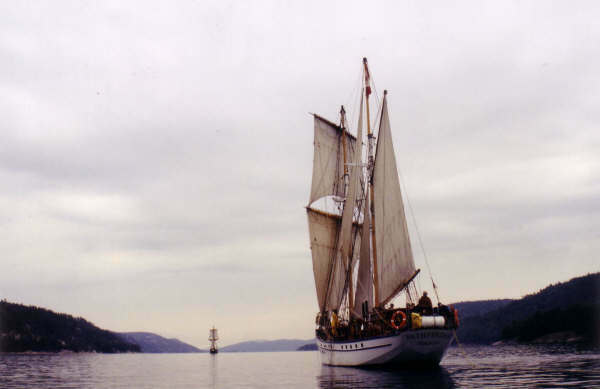 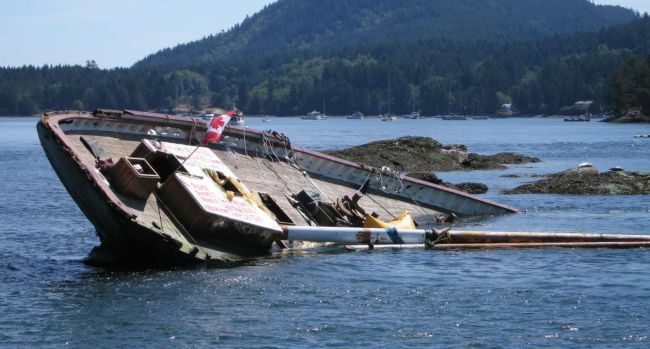 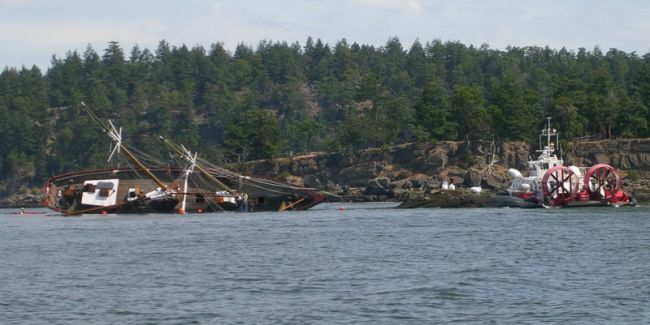 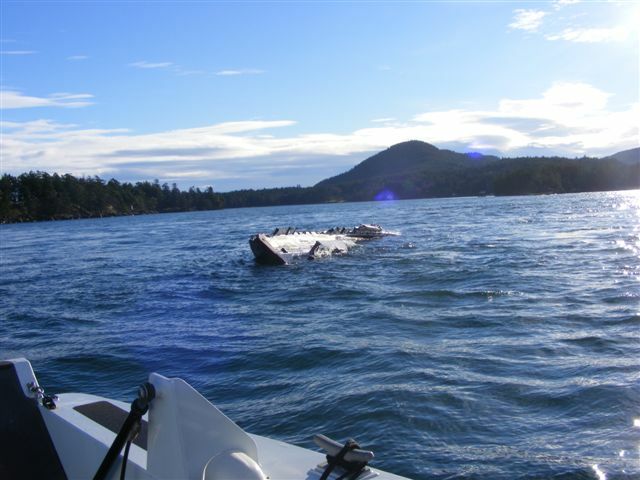 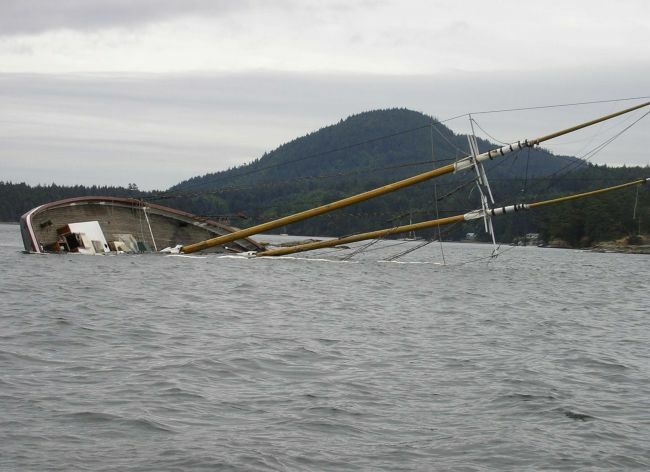 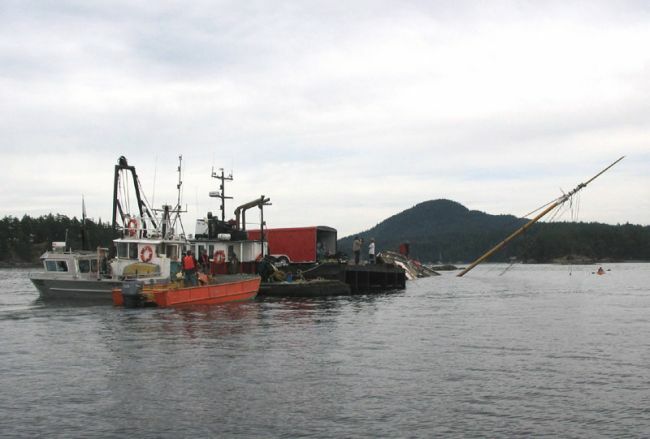 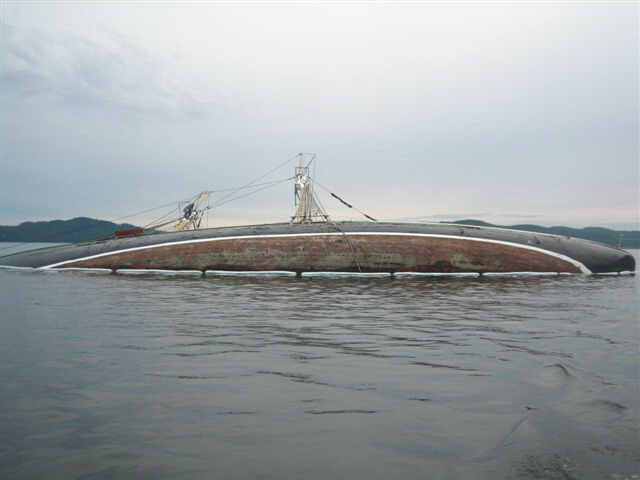 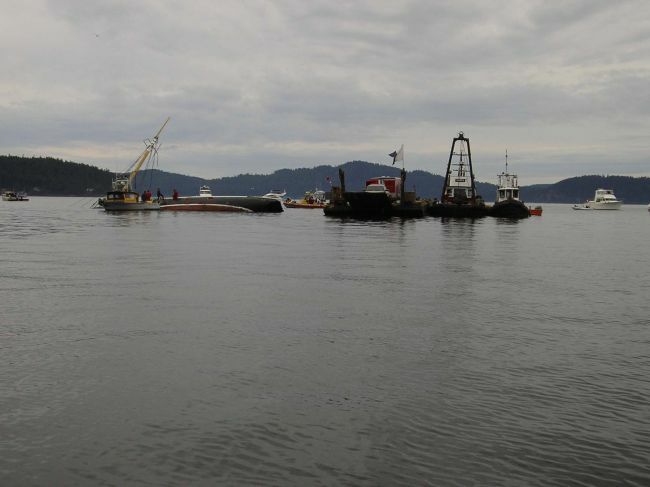 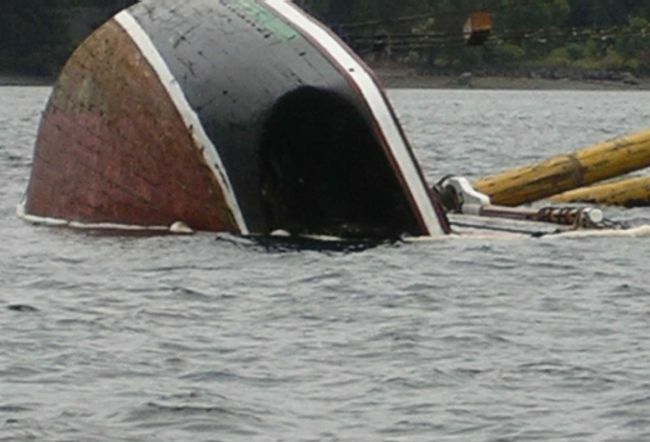 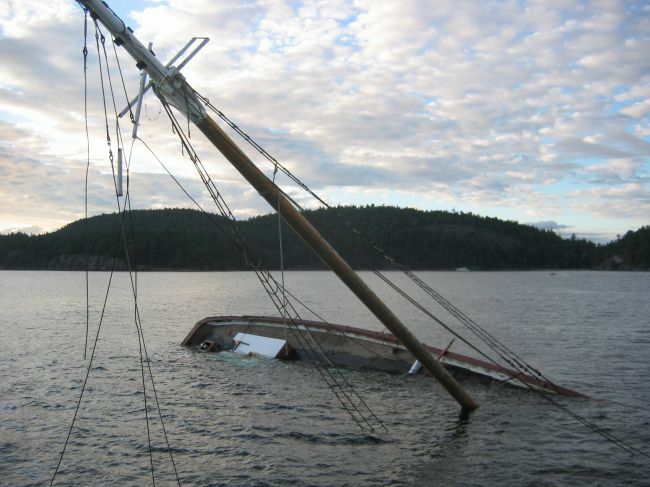 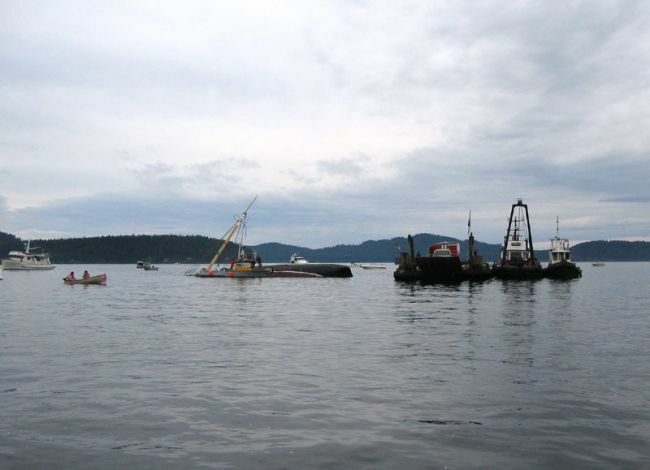 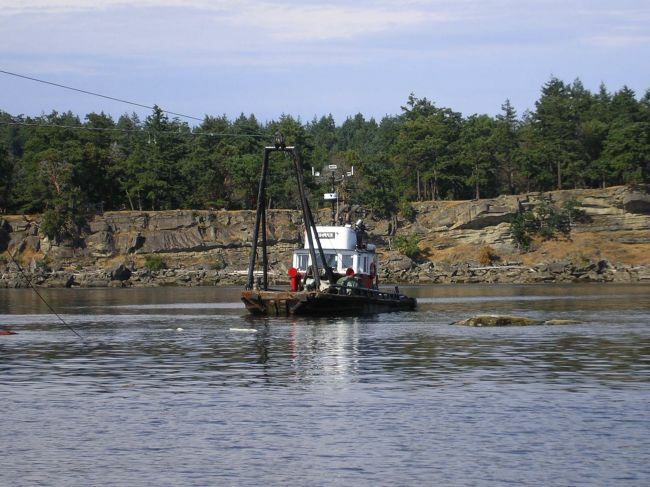 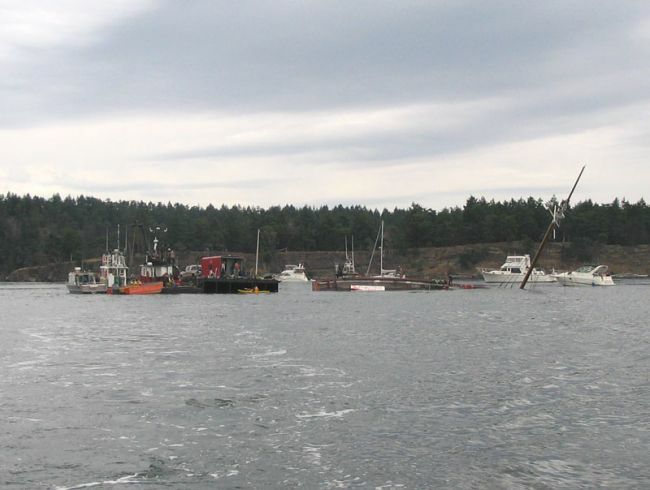 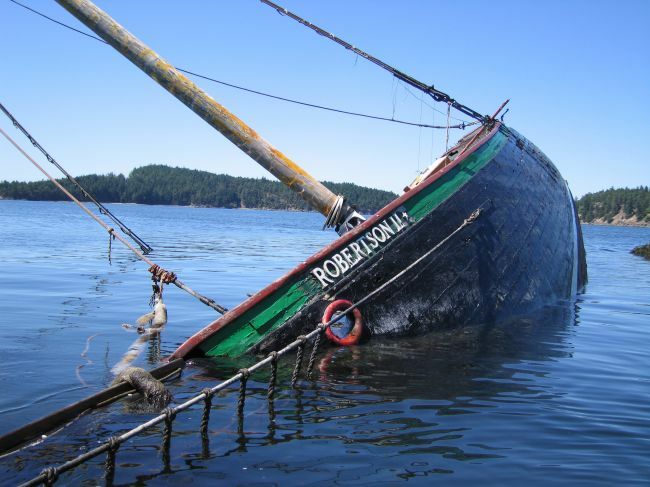 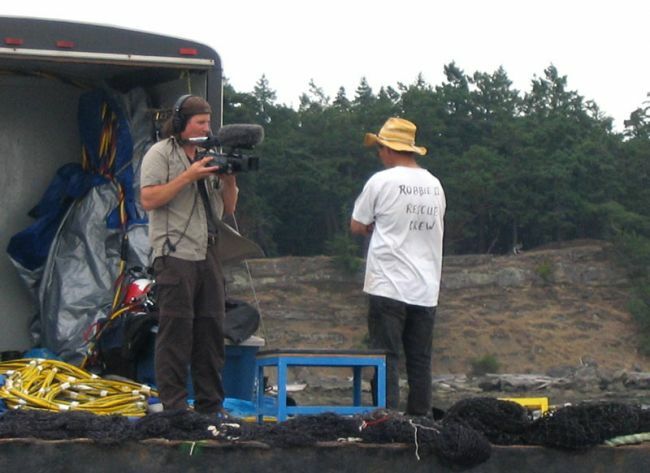 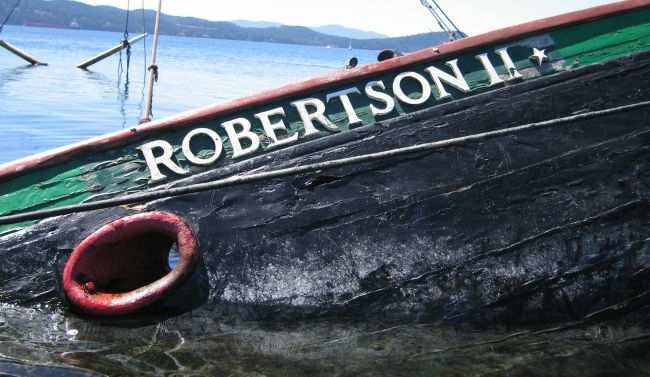 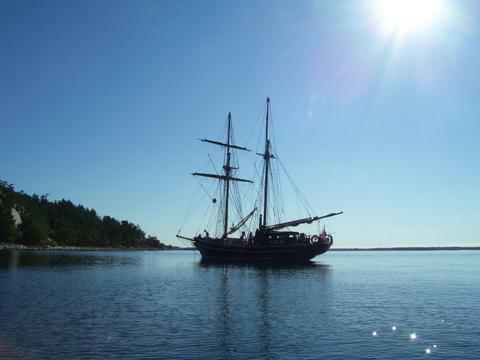 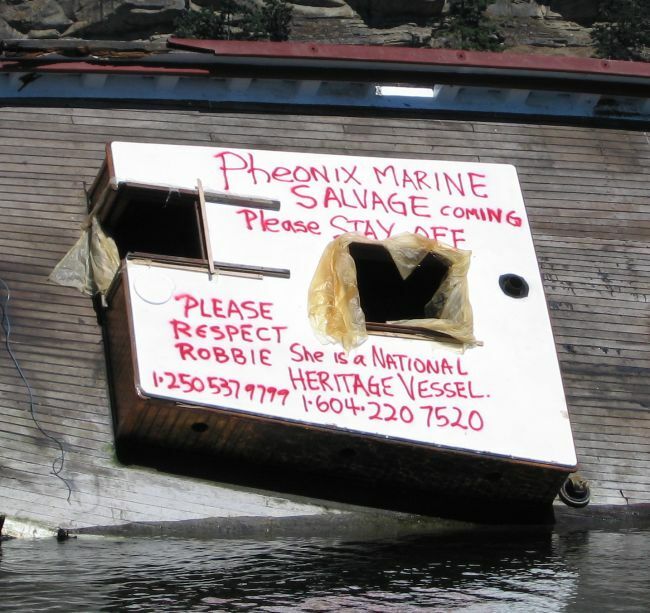 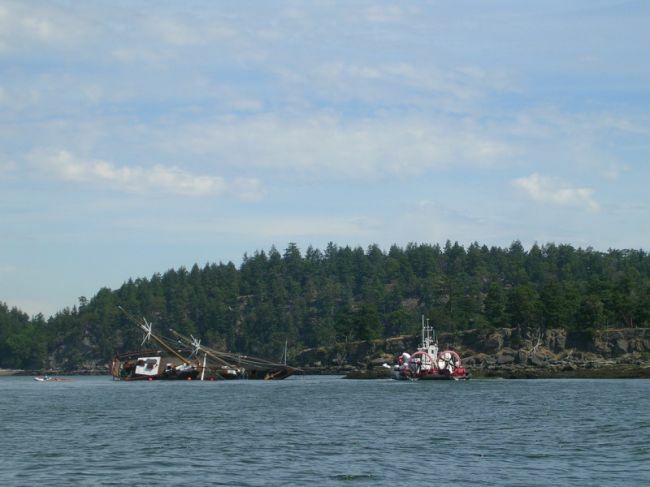 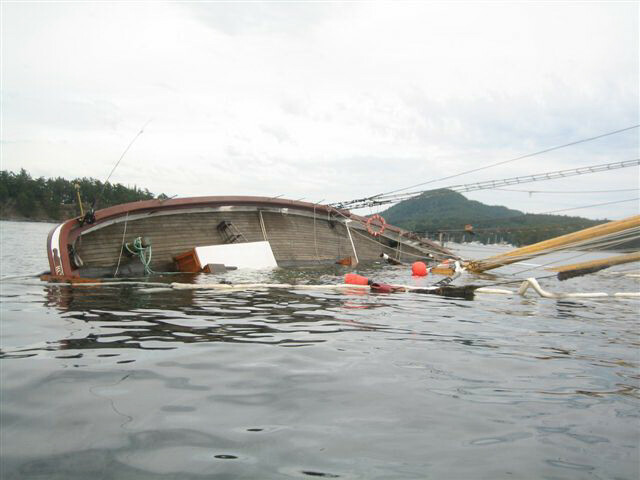 The latest attempts to salvage the Robertson II from Mink Reef off Saturna Is. 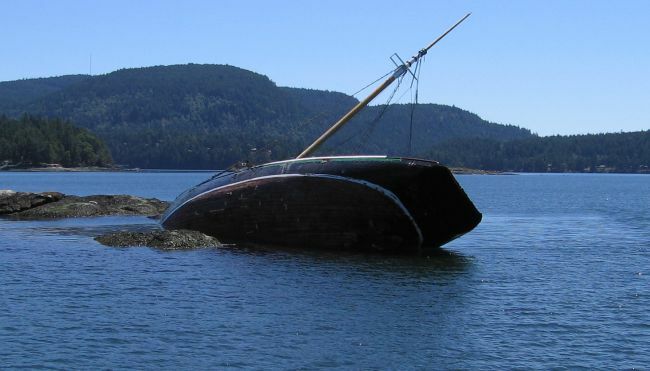 Hopefully not the final resting place of a grand dame. 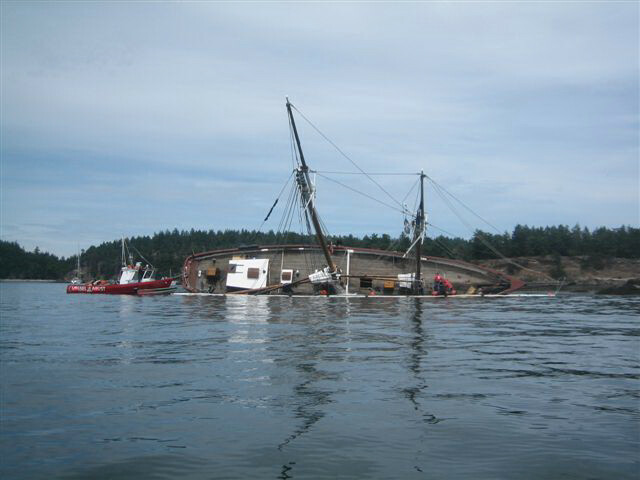 View the complete news article for details. 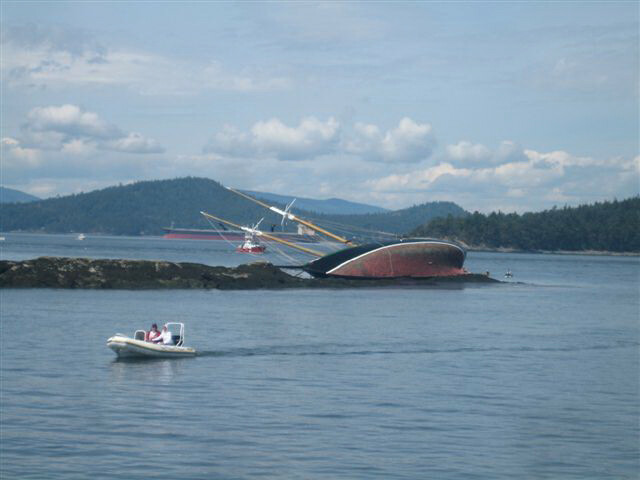 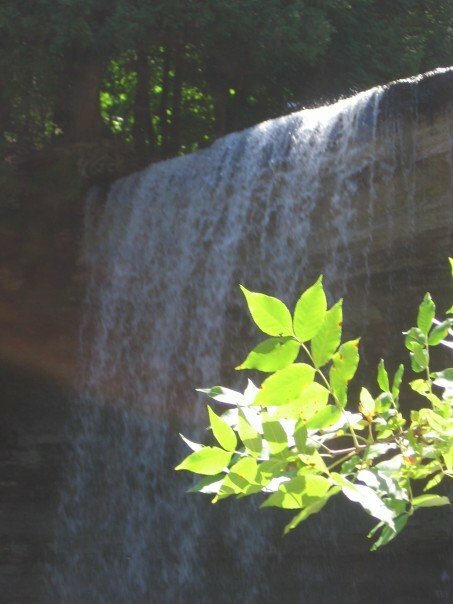 Photos taken seven months later - after the winter storms - not a very majestic sight. 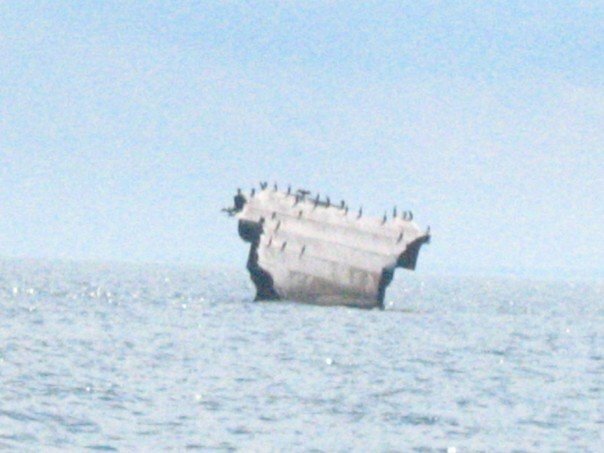 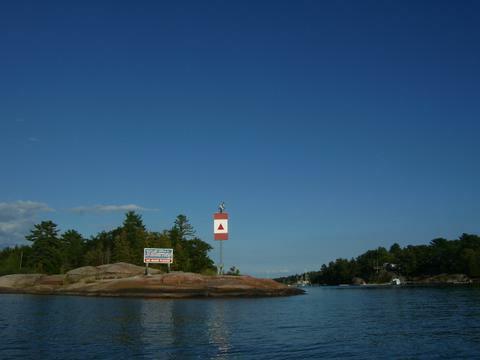 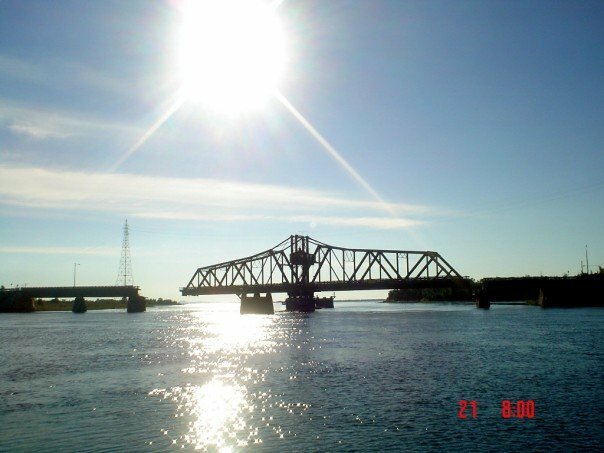 Photos taken seven months later - after the winter storms, not a very majestic sight. 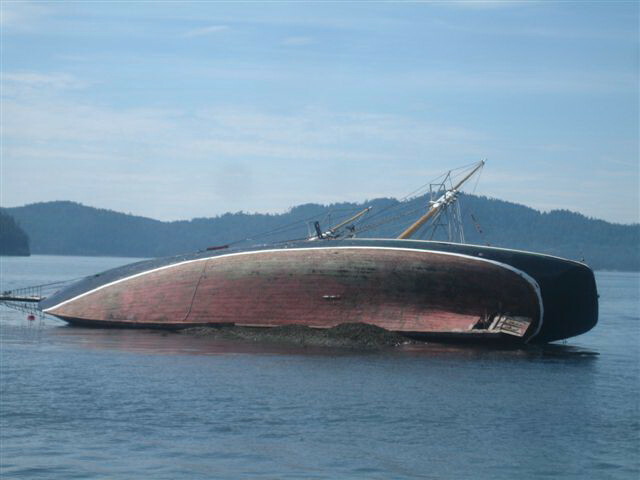 These latest photos are sad to see - but I think important to see. 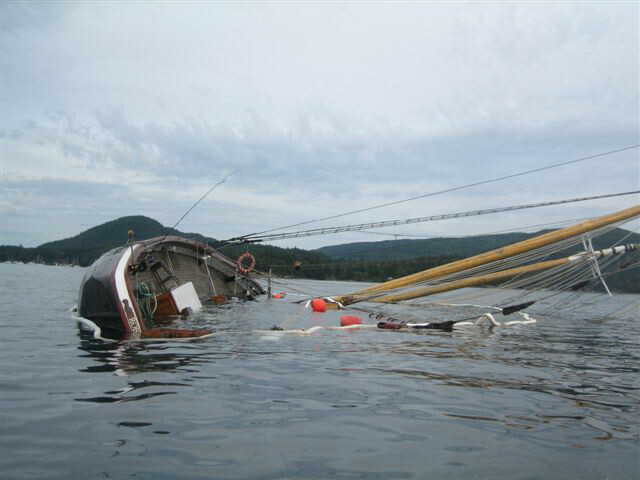 The latest pictures are sad - but important to see. 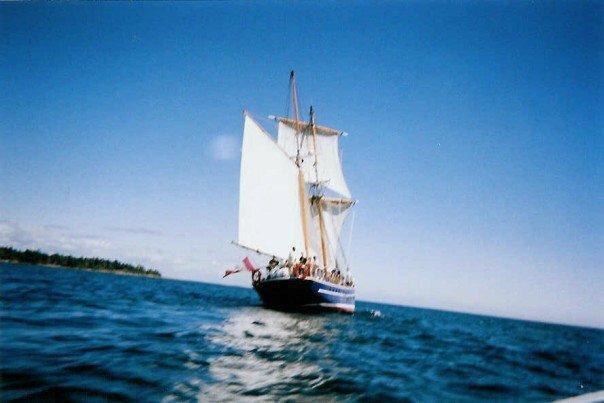 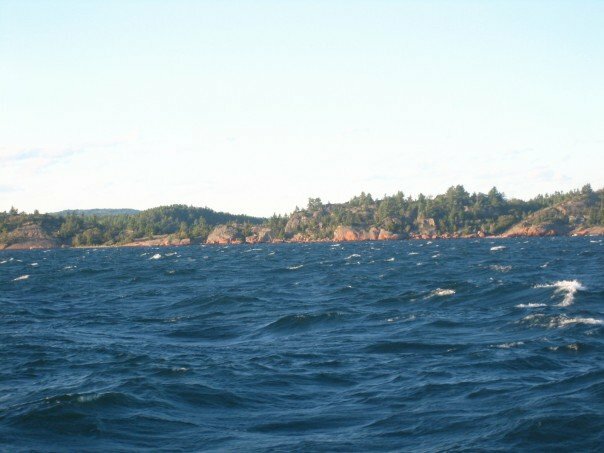 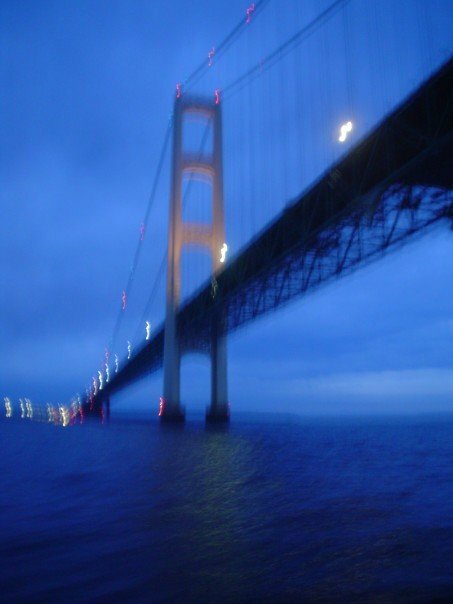 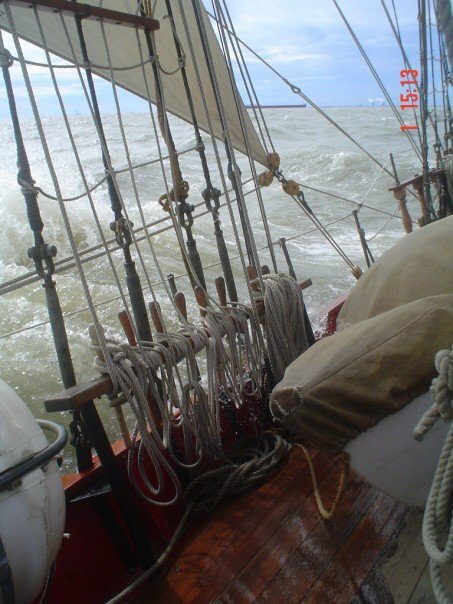 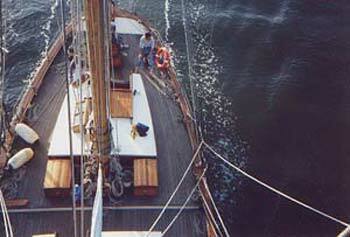 Some various images of the Spirit, the don´t pertain to a particular trip. 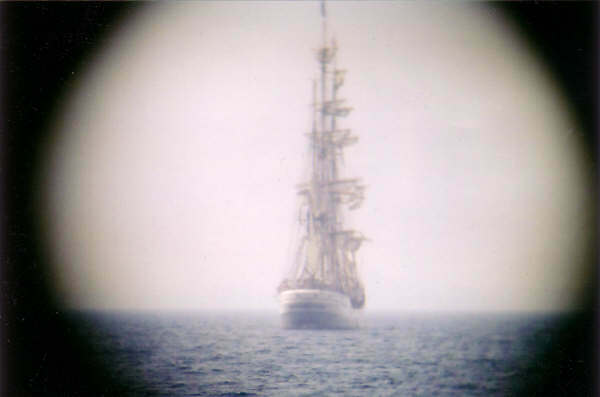 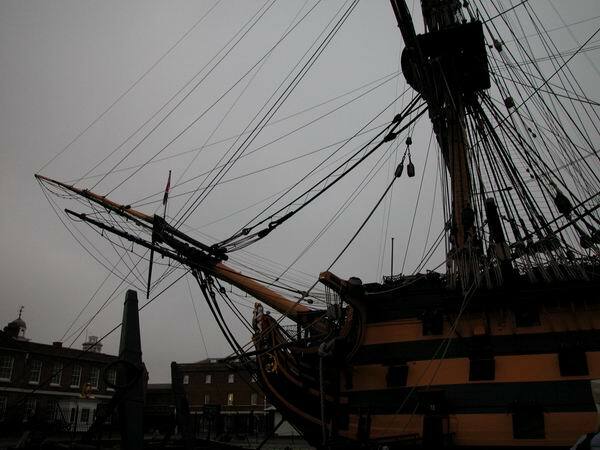 I tried to get the entire ship into my viewfinder, but was clearly unsuccessful. 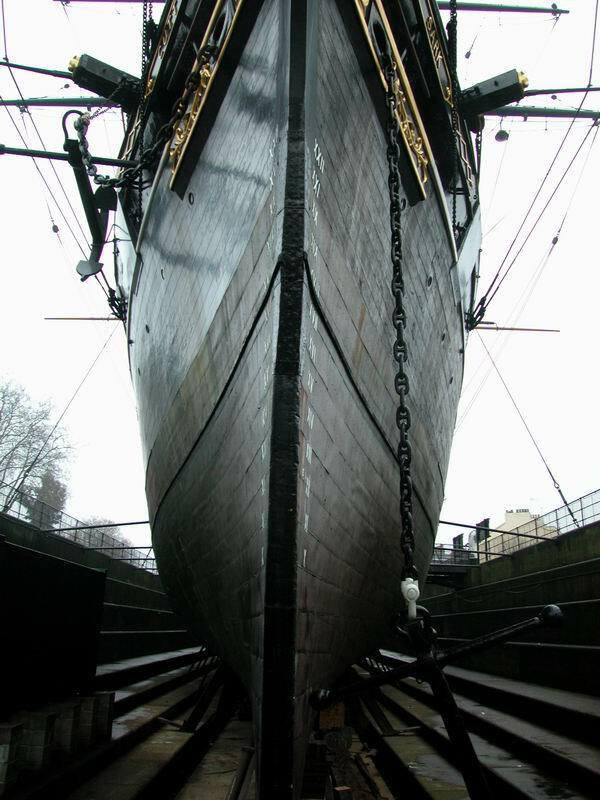 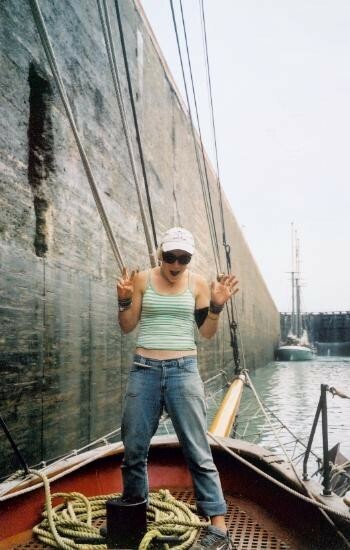 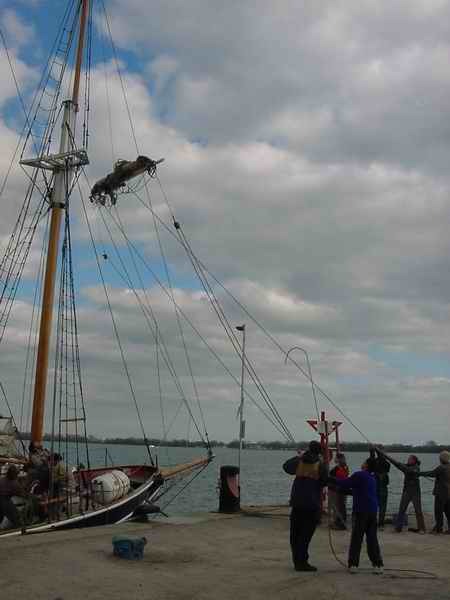 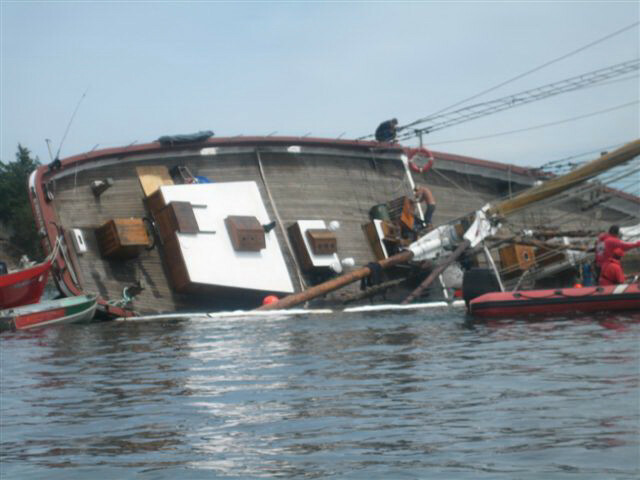 However, I think this gives a pretty good idea of how impressive she must have been on the ocean!